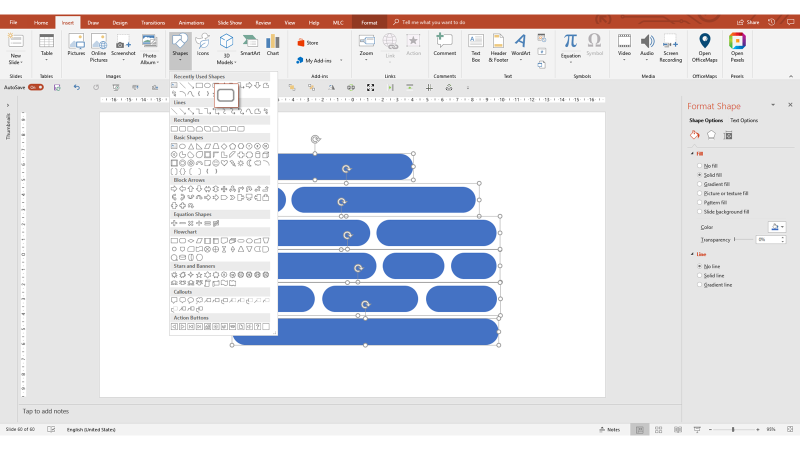 Have you ever seen a very good colleague working on PowerPoint , only to be struck by something he does, and you don’t understand how he did it? You know, those gestures, those functions or shortcuts that surprise you and that if you’d known them before, you would have saved a lot of work time? 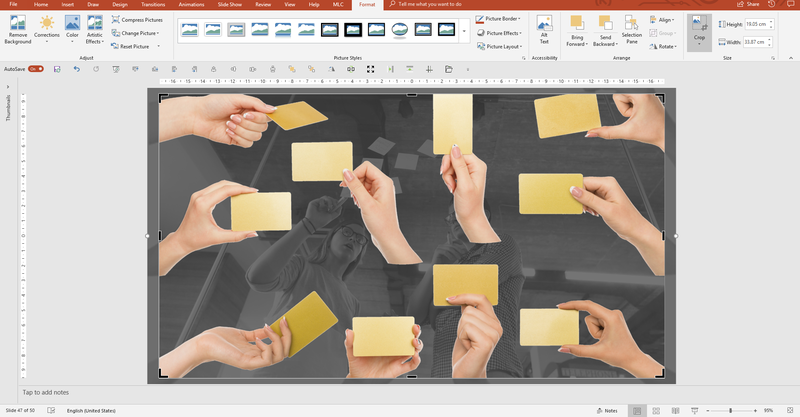 I’ll show you 10 PowerPoint Hacks you’ve never heard of. 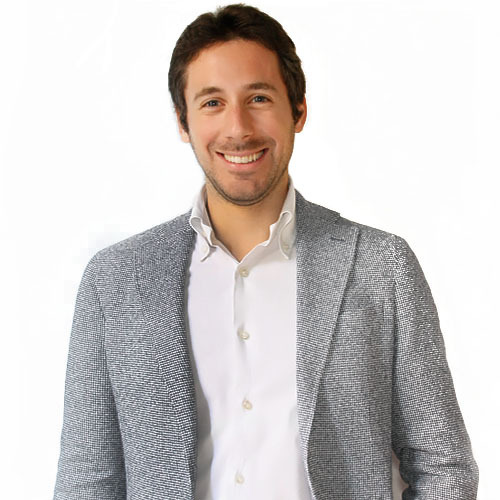 With time and experience, I have learned countless functions, generally by working directly on PowerPoint presentations and also by answering specific community questions. 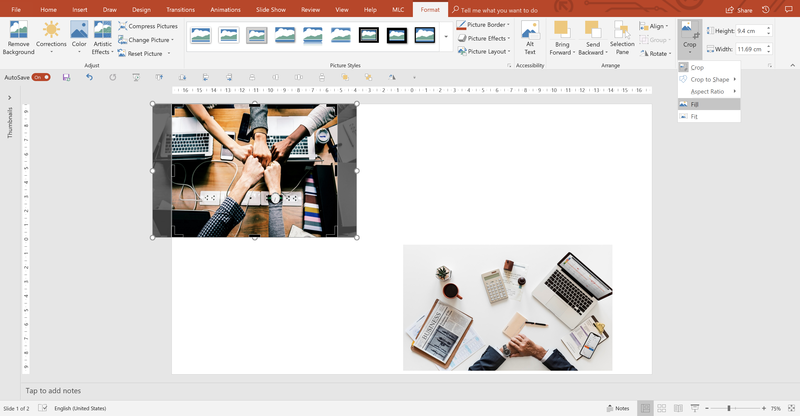 So, I decided to create a list of PowerPoint tricks that, in my opinion, are more interesting and can really change your life, saving you an important amount of time. From now on, I’ll update this list every time I discover a new, interesting trick. So, do not hesitate to give me some suggestions! 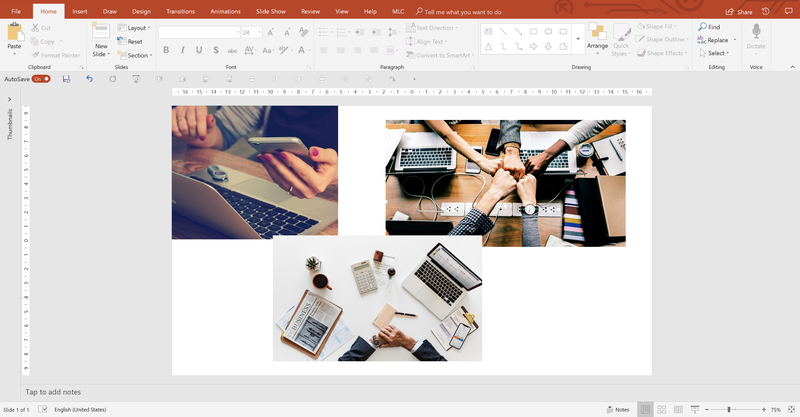 In the definitive guide to the use of images in PowerPoint, I explained how to use proportional cropping in PowerPoint which, in my opinion, is a very useful technique in many situations and fits well in this case. I pasted 3 images of different sizes and proportions. 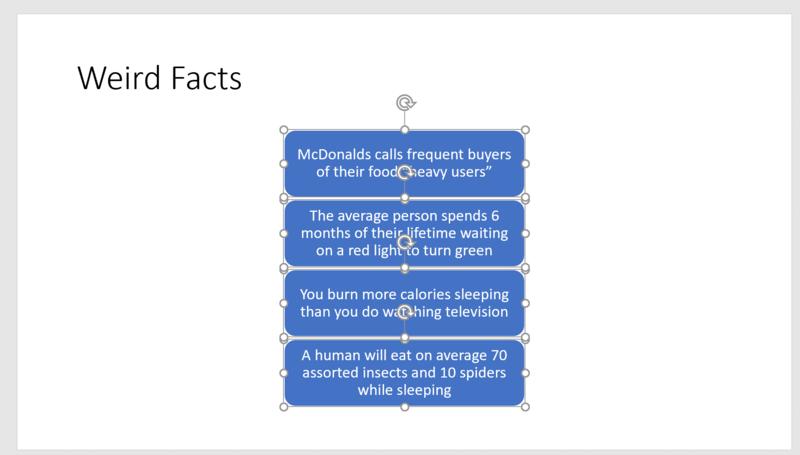 Figure #1-10 PowerPoint hacks you’ve never heard of. 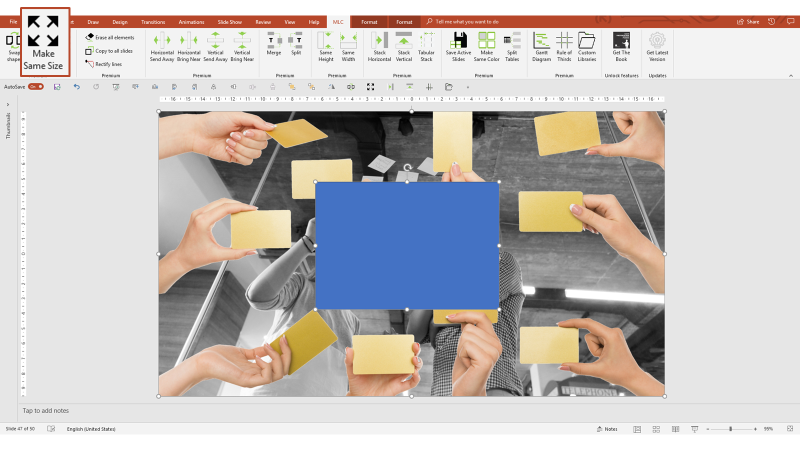 Figure #3-10 PowerPoint hacks you’ve never heard of. 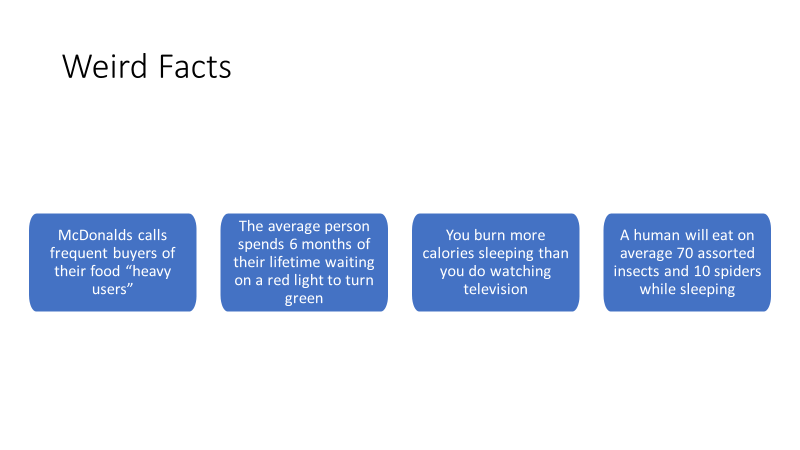 Figure #5-10 PowerPoint hacks you’ve never heard of. Repeating the operation, I get the same result and finally have the three alternatives re-proportioned, but there is a much smarter way. I recommend a simple layout to the images clean up, and you will soon understand why. 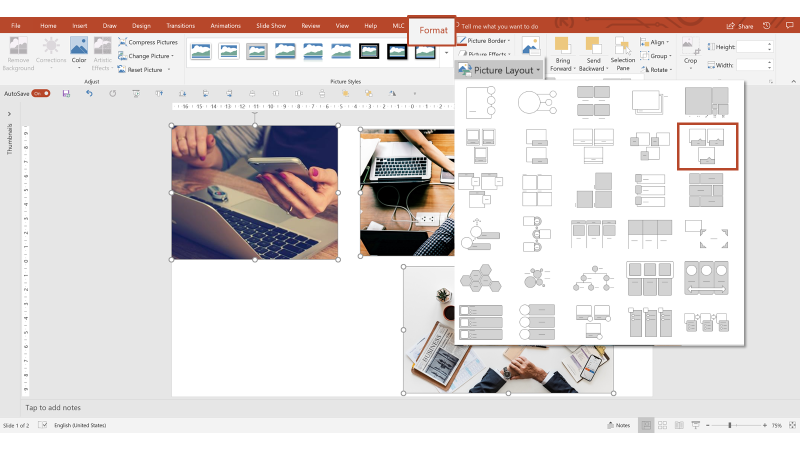 Figure #7-10 PowerPoint hacks you’ve never heard of. In our case, the text and cage are superfluous, so we can eliminate them. With the right mouse button, divide the group twice. If you have the operating system in English, the shortcut is CTRL + SHIFT + G to split the group while you can use CTRL + G to group. Now select and delete the blue rectangles, retaining only the images. Figure #11-10 PowerPoint hacks you’ve never heard of. As you can see, the re-proportioned images all of the same size. 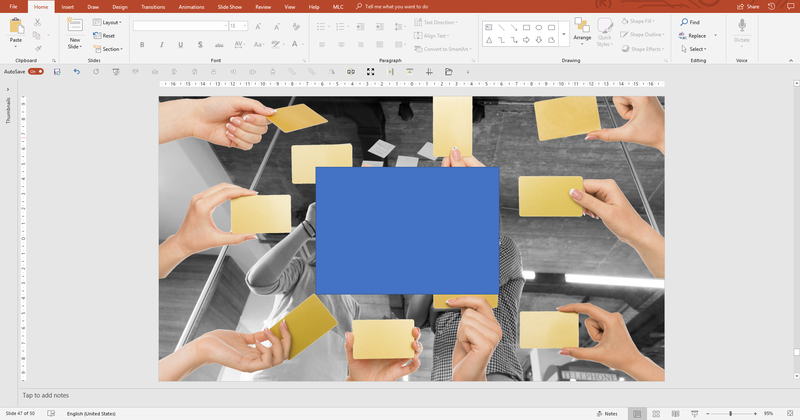 This technique can save you a lot of time when working with images in PowerPoint. 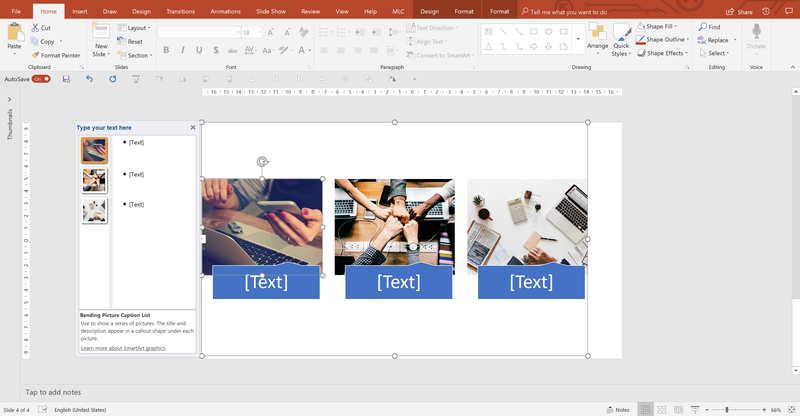 Add it to the techniques presented in the complete guide of images in PowerPoint to complete your timesaving arsenal. A special mention to my friend Taylor, from whom I learned this technique. Taylor’s technique is not bad at all, but if you’ve started to know me, you know how much importance I give to efficiency, and this technique requires multiple steps to get the result. Moreover, the technique works because the images are set as the background of some shapes, so the final result is not images, but shapes with your images as a background, and this affects the graphics quality of the images. 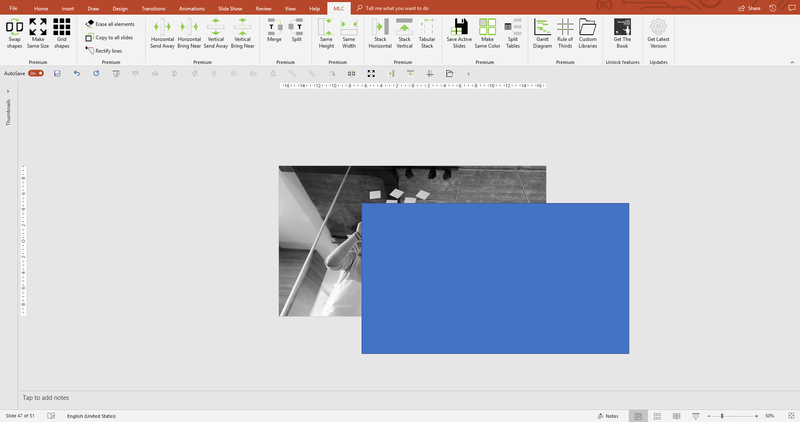 For this reason, I decided to develop my functionality to resize images in PowerPoint. Figure #12-10 PowerPoint hacks you’ve never heard of. Note that I have chosen images of different sizes and proportions. The proportions of the images are an additional problem compared to the shapes that, in fact, can be more easily resized. You do not want to unmask an image by applying the proportions of another! Let’s try to apply the dimensions and proportions of the image of the tiger to the other two. Figure #13-10 PowerPoint hacks you’ve never heard of. 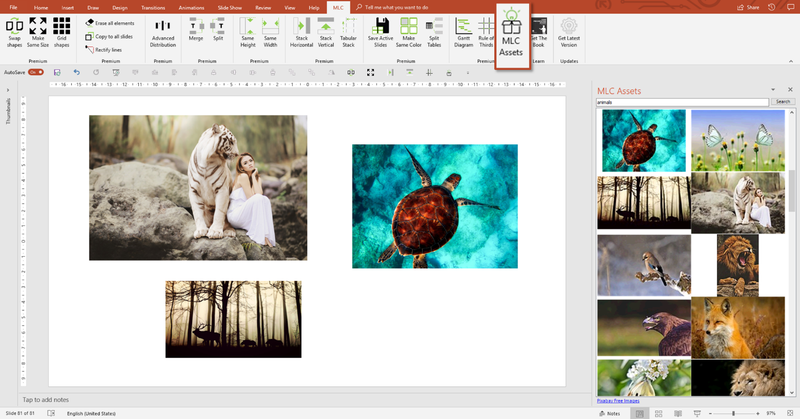 I select the image of the tiger, select the other two and then use the “Make Same Size” button of the MLC PowerPoint Addin. The images will be immediately resized proportionally. Now I want to talk to you about the next point, so I’ll leave you to examine the MLC PowerPoint addin on the reference page. 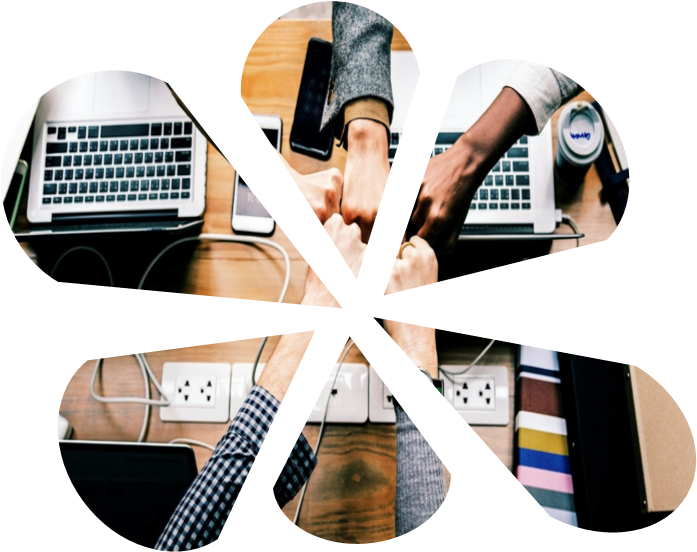 Among the most-used functions by those who work professionally in PowerPoint, there are alignments and distributions. 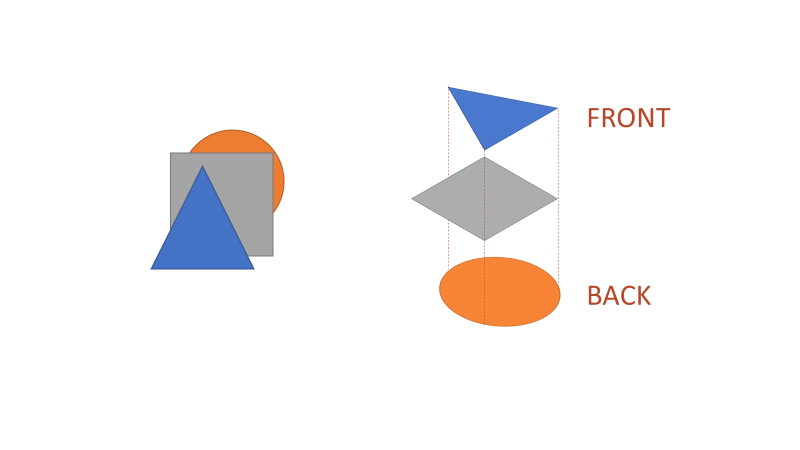 Let’s take the example in which 3 shapes sit on the same slide and you want to align them vertically with respect to their center. Figure #14-10 PowerPoint hacks you’ve never heard of. How do you do it as quickly as possible? Figure #15-10 PowerPoint hacks you’ve never heard of. Let’s see the necessary steps. 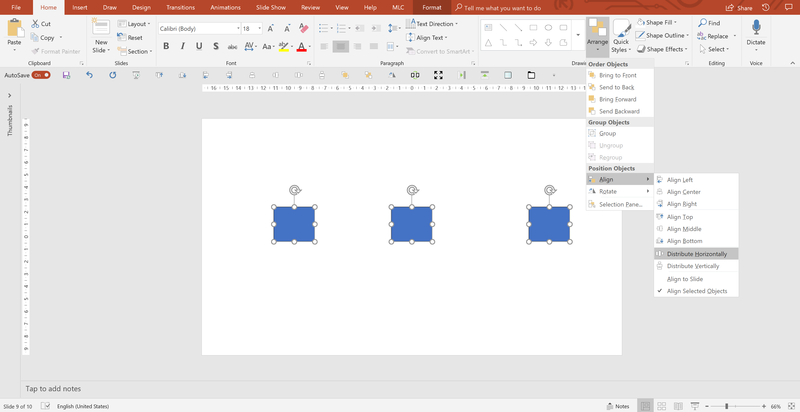 After selecting the three shapes, you have to open the “Arrange” menu and then the “Align” sub-menu to be able to click once on the “Align Middle” alignment (x1 click + x1 Submenu + x1 click). You have aligned them, now suppose you also want to distribute them. 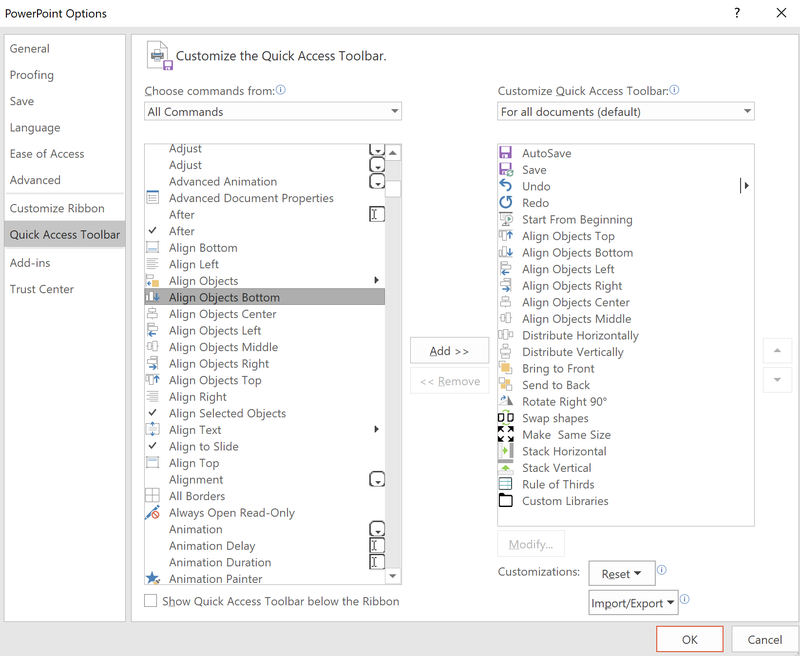 Open the “Arrange” menu again, the “Align” sub-menu and, this time, select the horizontal distribution button. Figure #17-10 PowerPoint hacks you’ve never heard of. Finally, the three forms are aligned and distributed, but it has certainly not been efficient. Want to see what would be really efficient? Look under the main ribbon of my PowerPoint, do you notice something?  Enlarged for clarity, this is my “Quick Access Toolbar” (QAT). 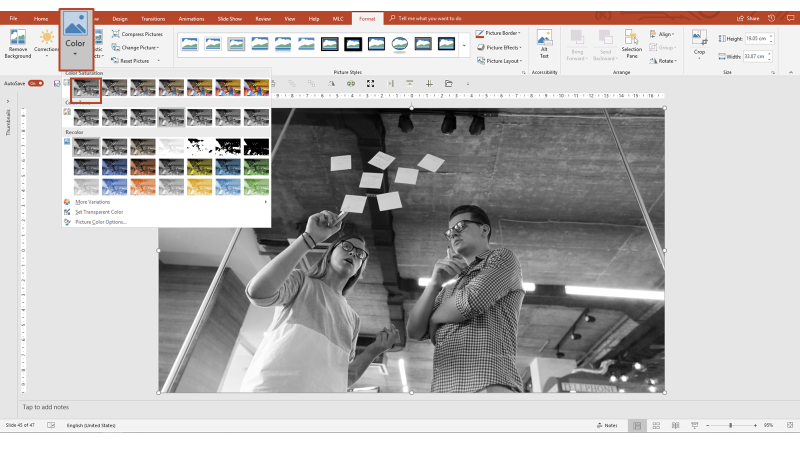 Figure #19-10 PowerPoint hacks you’ve never heard of. Do we try to redo alignment and distribution with the functions available just a click away? 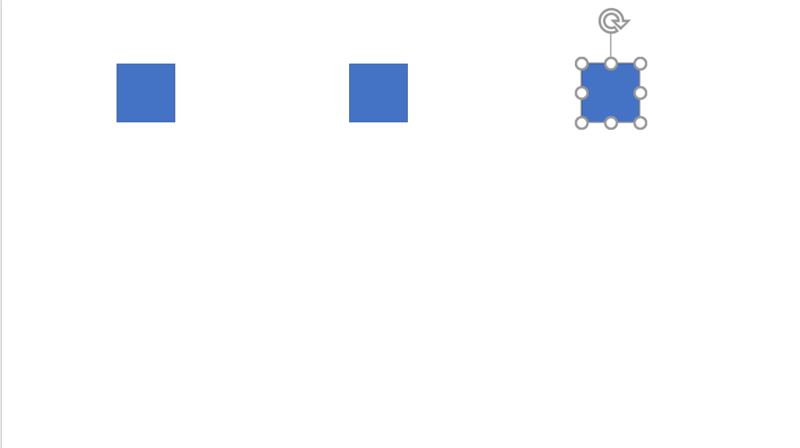 I select the shapes and I click on the two buttons Align and Distribute. Very simple! 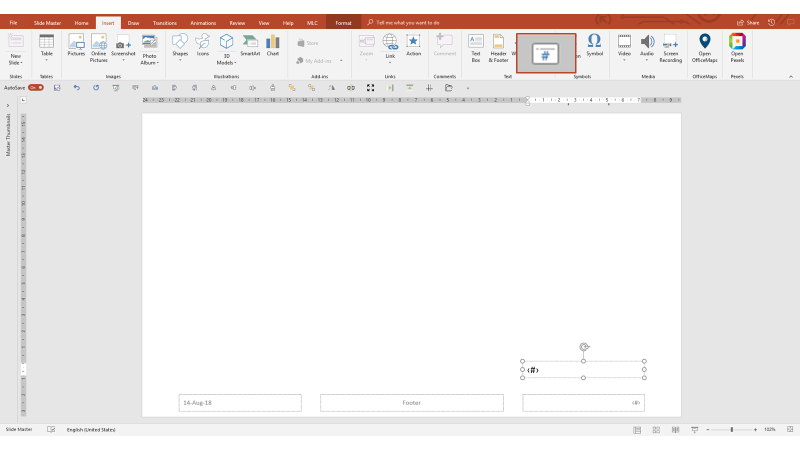 If you have not already done so, this is the time to set up your Quick Access Toolbar, and that should include a set of basic features, arranged in a specific order to enhance your efficiency in PowerPoint. Once you understand how this amazing tool works, you can even customize it by adding all the features you want. 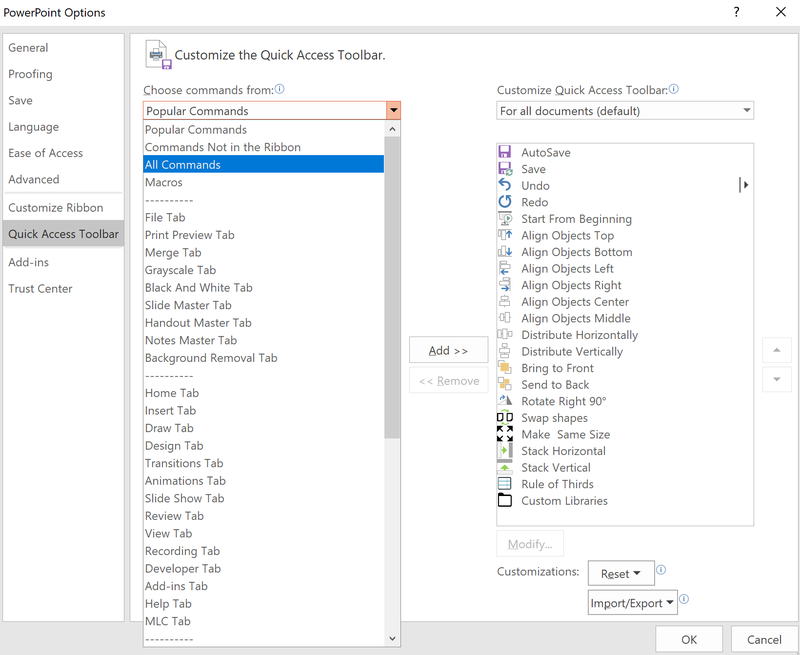 Let’s start by opening your “Quick Access Toolbar” which, unless you have already undertaken customization, will be on top of the ribbon. Figure #21-10 PowerPoint hacks you’ve never heard of. Do you see that little arrow at the end of the features? 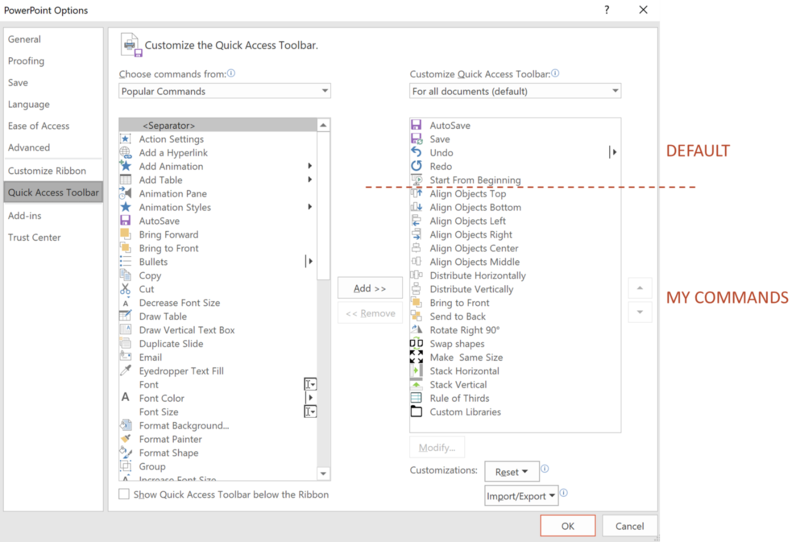 That is the arrow you need to open the “Quick Access Toolbar” settings. In fact, clicking on it opens the menu that shows you some of the main commands that you can include in the QAT, simply by ticking them and then the “More Commands” option. 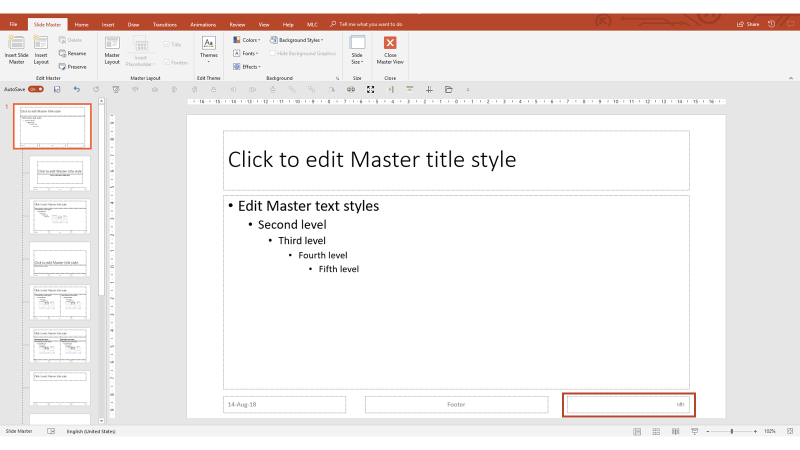 Figure #23-10 PowerPoint hacks you’ve never heard of. By clicking on “More Commands”, you can access the QAT administration panel. 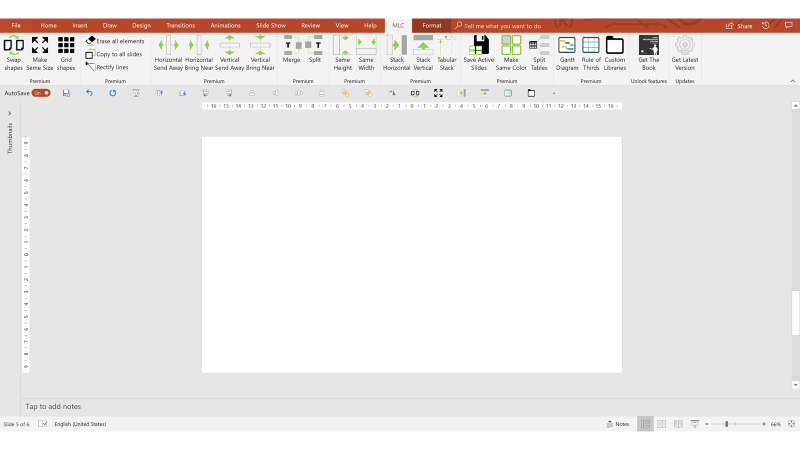 The functions box on the left shows all the most popular PowerPoint commands (Popular Commands), while the box on the right shows the commands included in the QAT. The first 5 commands of my QAT are automatically inserted by PowerPoint; the others are those that I have inserted and distributed, those on which we will focus. Do we set your QAT by copying the basic functions from mine? For me, the basic functions are all the alignments, the distributions, the door forward and the back door. First of all, I advise you not to look only at the most popular commands, because you will not find any alignments or distributions. 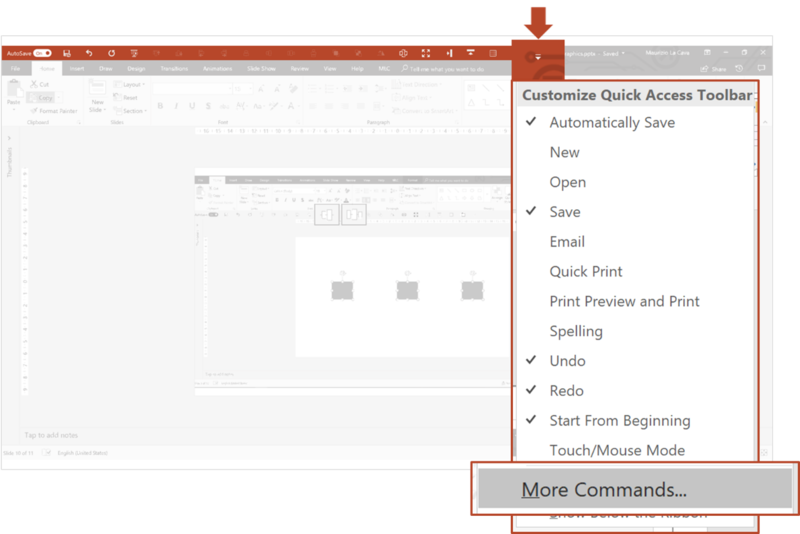 Replace “Popular Commands” with “All Commands” to display a list of all the commands in PowerPoint. 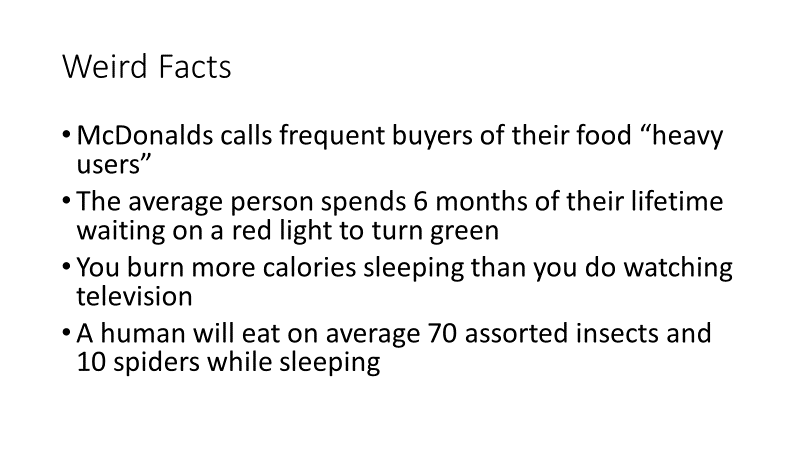 Figure #26-10 PowerPoint hacks you’ve never heard of. To move a command from the left box to the right one, simply select it and then click on the “Add” button. Look for the first alignment button in alphabetical order. 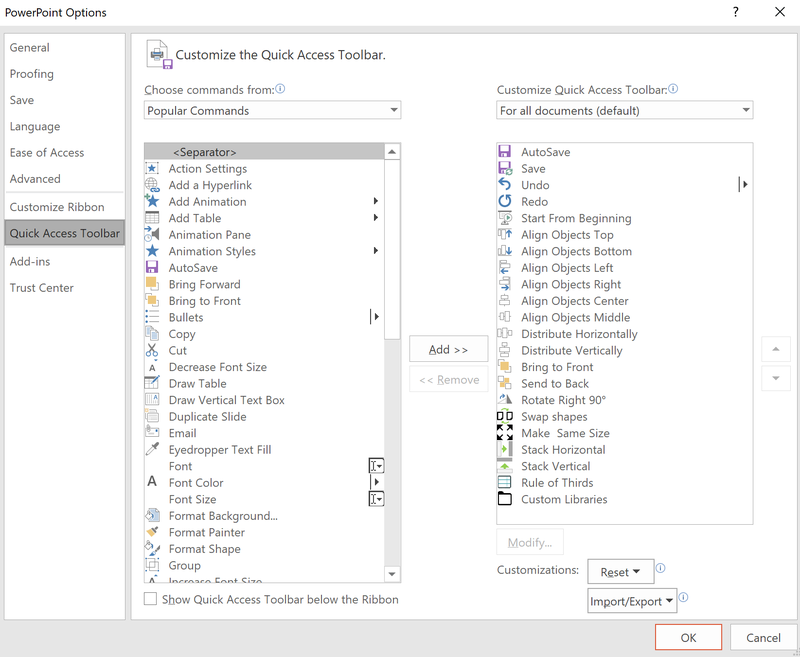 The typical mistake is to add other alignment buttons that are not part of these 6 or to add the “Align Objects” menu that would add a little arrow with the list of all the alignments in the QAT, moving them a click away from you. You can add the “Bring to Front” and the “Send to Back” functions from this same menu, in the same way. The purpose of these buttons is to allow you to quickly send behind or bring an object in front of you without going crazy with the levels. 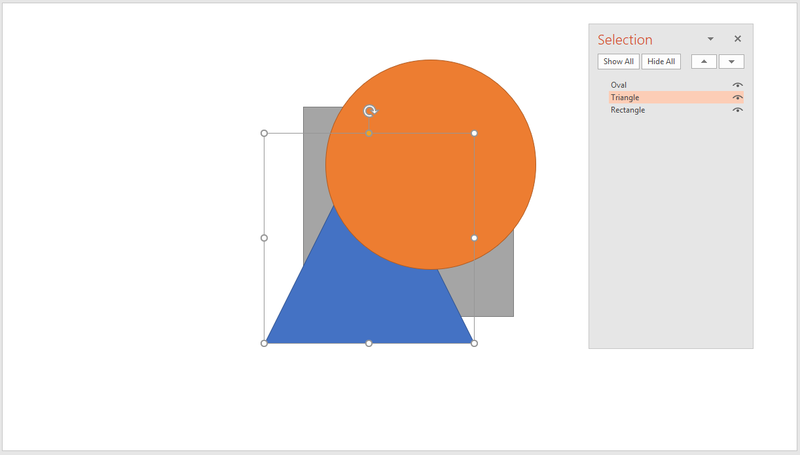 Finally, all you have to do is add the function to rotate shapes 90 ° , which can often be convenient to have on hand. Once you move the buttons into the box on the right, it’s time to rearrange them so you can always have them at your fingertips. For this reason, I suggest you follow the order I set up because after years of testing, it proved to be the most effective. One last tip: move the QAT under the ribbon so you have it right near the work area and minimize mouse travel. 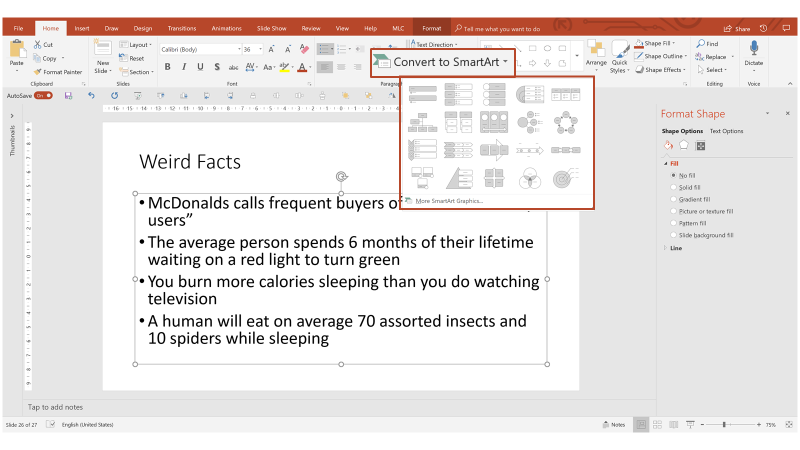 Figure #28-10 PowerPoint hacks you’ve never heard of. 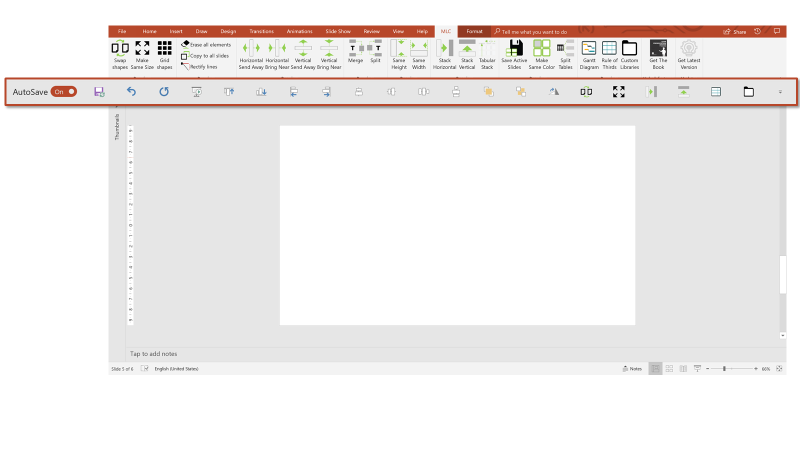 Now you have the QAT set correctly, aside for the last buttons which are included in MLC PowerPoint Addin. You have an object on the slide and you want to duplicate it several times by arranging it in line with the first one. How do you do it? Figure #30-10 PowerPoint hacks you’ve never heard of. The most common answer is copy-paste (CTRL + C and CTRL + V). And then position by hand, or with the alignment functions at the desired point. What if I wanted to duplicate it again? You just have to repeat the procedure. 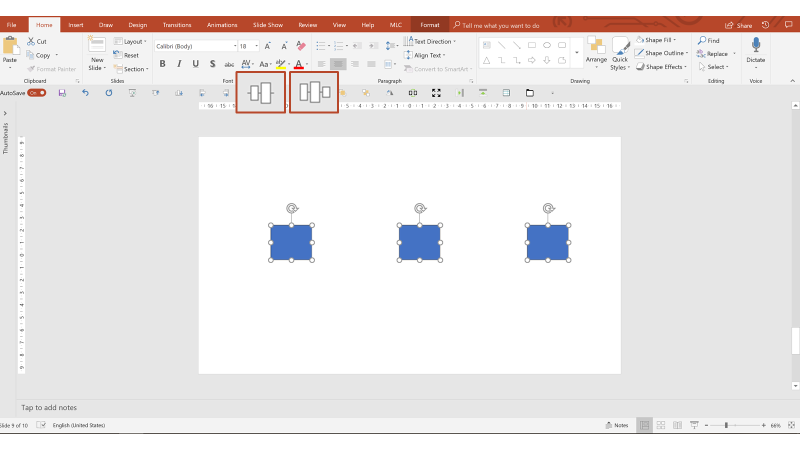 There is a PowerPoint function called “Duplicate” and it is activated with the keyboard command CTRL + D.
When you select a shape and activate the CTRL + D shortcut, it’s as though you copy-paste the square. Figure #32-10 PowerPoint hacks you’ve never heard of. Now position it manually, like you did before. At this point, if you reactivate the CTRL + D shortcut, the square will be duplicated, keeping the alignment and the distribution (same distances). Figure #34-10 PowerPoint hacks you’ve never heard of. Interesting, right? But I want to take it to an even higher level. 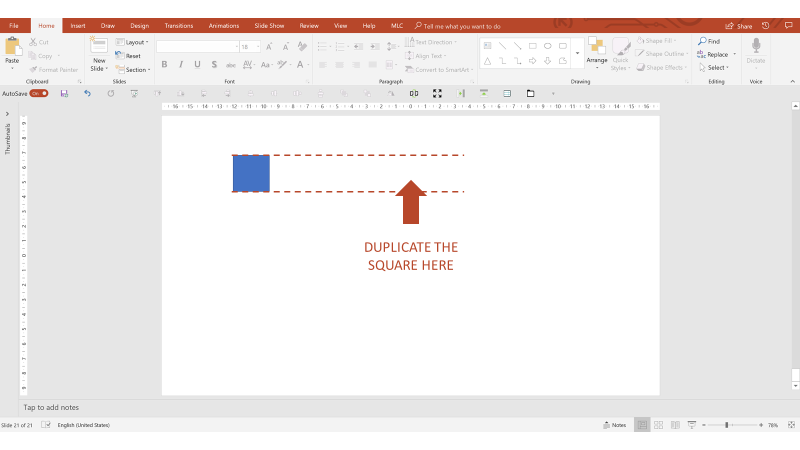 In fact, this basic PowerPoint duplication technique has a problem, in that the first square has to be aligned manually. I propose you the alternative I use. 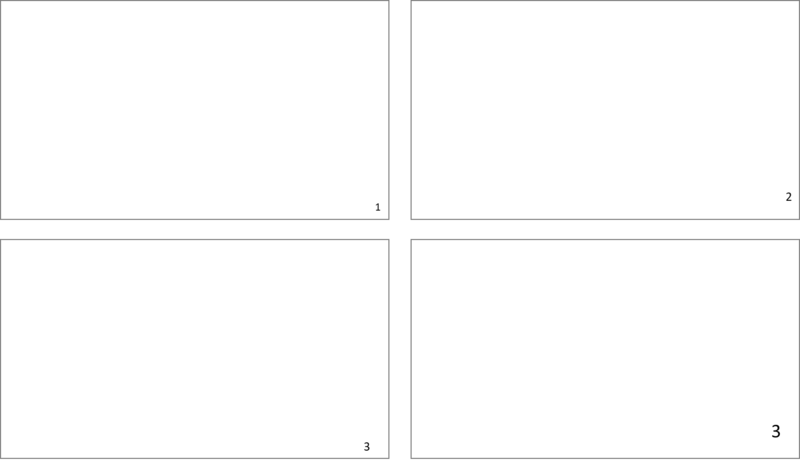 Select the first image, hold CTRL (to duplicate) and SHIFT (to constrain the drag to the horizontal axis or abscissa). Once positioned, you are ready to apply the great trick. Figure #36-10 PowerPoint hacks you’ve never heard of. 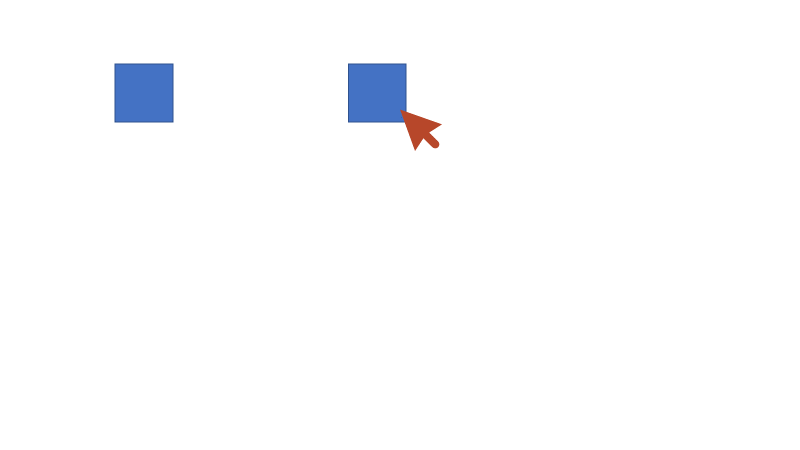 Figure #37- Best powerpoint shortcut. Try using the CTRL + Y combination, and the shape will be duplicated while maintaining distribution and alignment. This advanced form of duplicating is more accurate than CTRL + D because, in this case, the restricted drag of the mouse is achieved thanks to the SHIFT button and, therefore, nothing is left to the free hand of the operator. 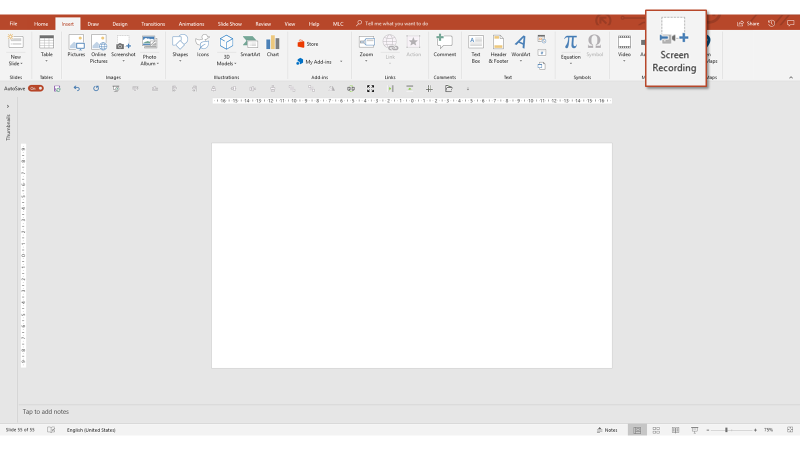 The classic bullet list is one of the most serious ills in PowerPoint? Here is an example. 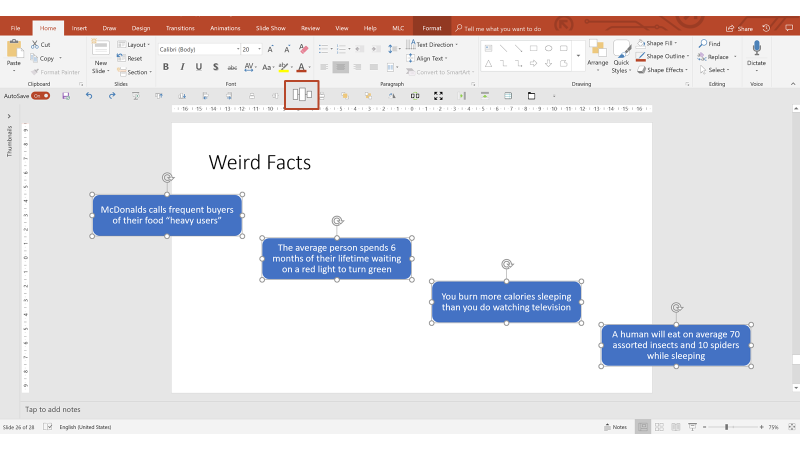 Figure #38-10 PowerPoint hacks you’ve never heard of. 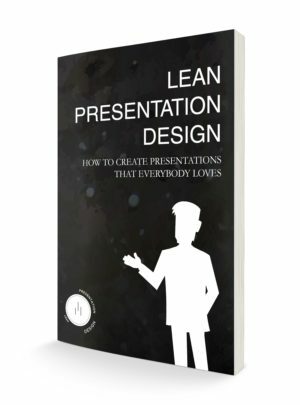 We know that bullet points in presentations are not effective because they force the audience to read, distract them and cause the loss of attention that many speakers suffer because of their own slides. To solve a bullet point, the first thing to do is to independently manage each bullet point. 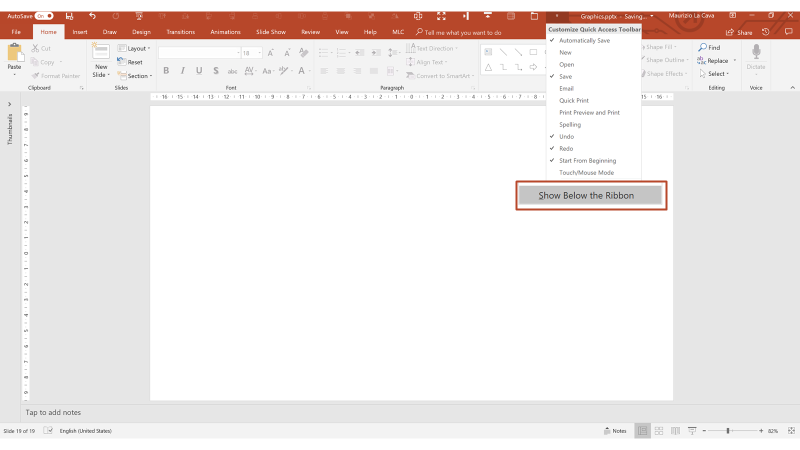 Are you wondering how to separate each bullet from the text box? Certainly I will not tell you to drag the text sentence by sentence into new text boxes, because it would mean repeating an inefficient action several times. An alternative is to convert the bulleted list into a SmartArt. 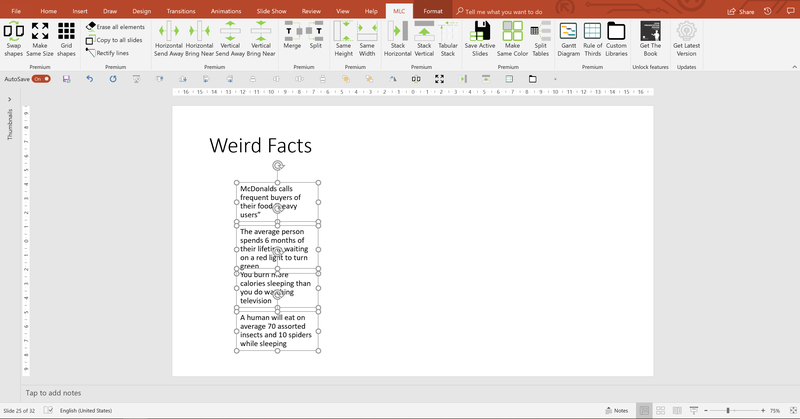 Figure #40-10 PowerPoint hacks you’ve never heard of. At first glance, it seems that you have caged the text in a model. In fact, all you need to do is split the group twice to get each separate point. Figure #41-10 PowerPoint hacks you’ve never heard of. 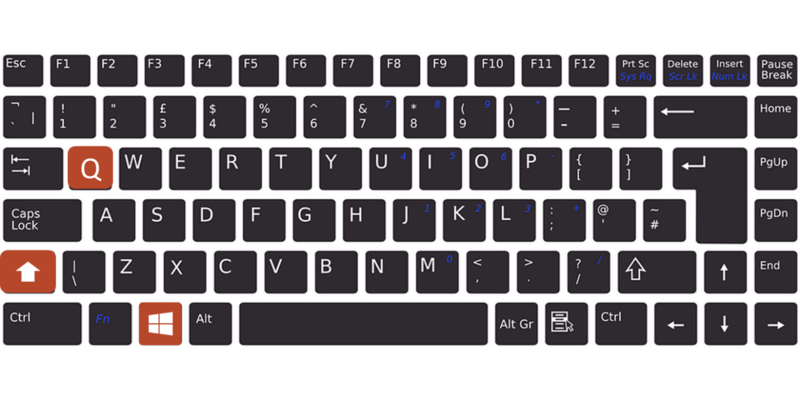 If you have the operating system set in English, the keyboard shortcuts are: CTRL + G to group and CTRL + SHIFT + G to divide. Figure #42-10 PowerPoint hacks you’ve never heard of. Figure #43-10 PowerPoint hacks you’ve never heard of. And then combine the align and distribute functions. Figure #44-10 PowerPoint hacks you’ve never heard of. I’ll show you first the distribute (function) that makes you better understand the dynamics of what I’m doing. Now I can align center. Figure #45-10 Best powerpoint shortcut. 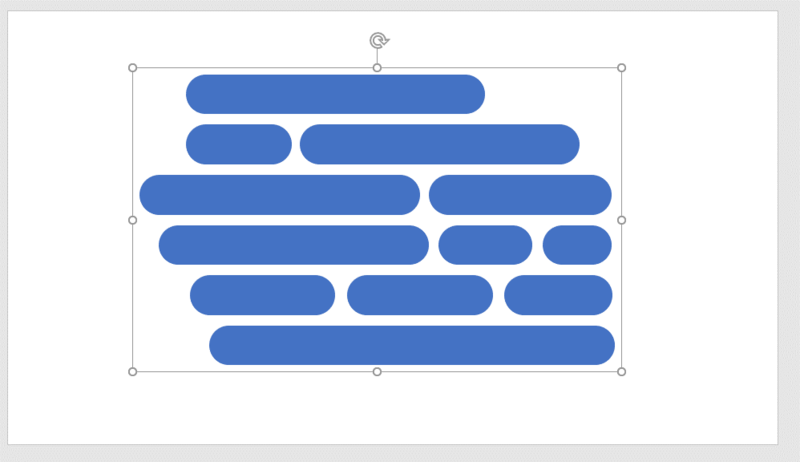 Now you just need to group the shapes and drag them inside the perimeter of the slide. Figure #46-10 PowerPoint hacks you’ve never heard of. This procedure is certainly much more efficient than dragging any message outside the main text box. However, dealing constantly with bullet points in the slides of my clients, I have developed an even more efficient alternative. Do you remember the initial bullet point? 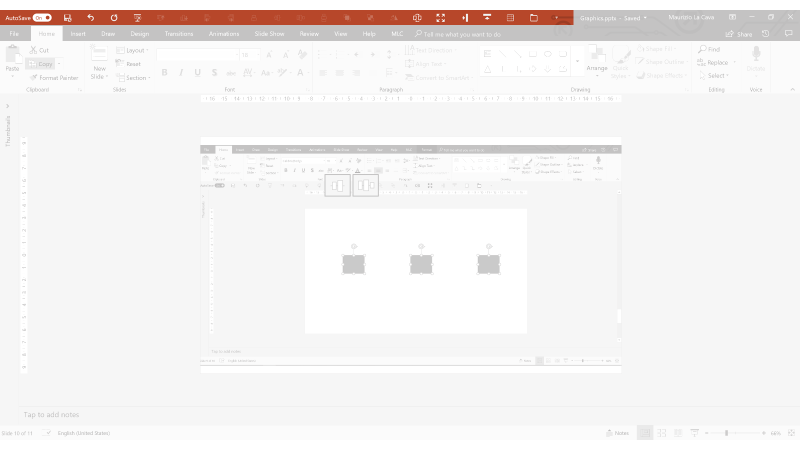 Just select it and apply a function that I have integrated into the MLC PowerPoint Addin, called “Split“. This function breaks the bullet point into independent text boxes in a single click (the “Merge” button obviously does the opposite). Figure #47-10 PowerPoint hacks you’ve never heard of. For the arrangement, it could then be combined with the historical “Grid Shapes” function that is always present in the MLC ribbon. 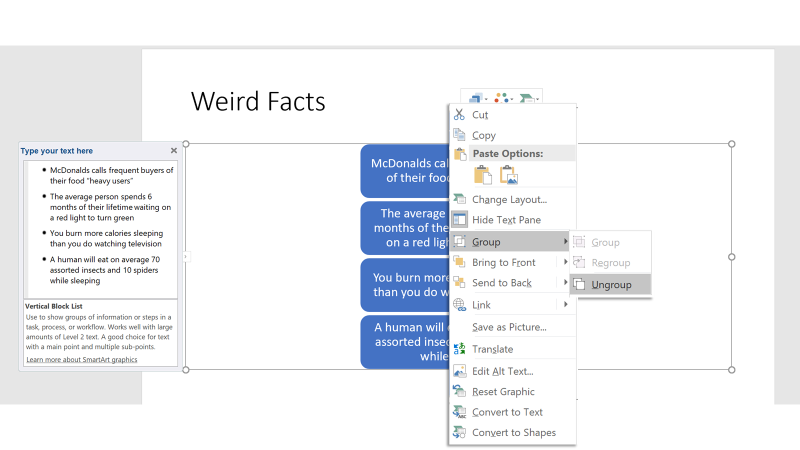 Figure #48-10 PowerPoint hacks you’ve never heard of. To prepare the texts before applying the “Grid Shapes”, make them smaller and remove the bullet point. Launch the “Grid Shapes“, setting the distribution on 4 columns and a row. Figure #49-10 Best powerpoint shortcut. There’s still a trick I’ve used, and you’ve probably noticed that I have never closed the MLC ribbon, not even to make the text smaller. How did I reduce the text without clicking on the button to make it smaller on the “Home” tab? No, I didn’t use a shortcut. 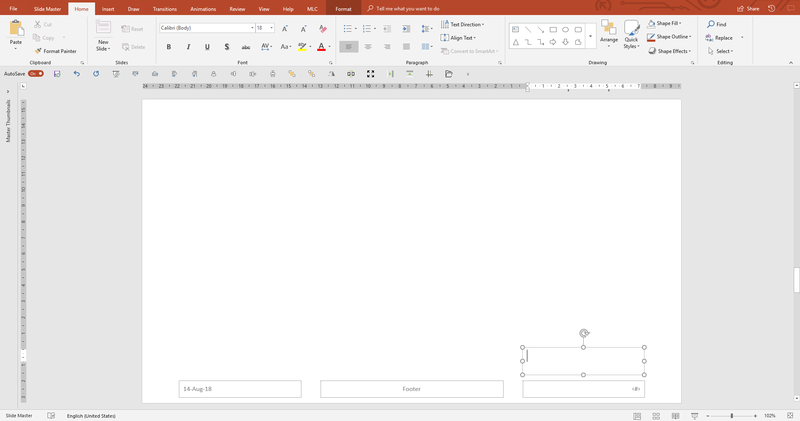 In fact there are some very frequently used features (like font size change) on PowerPoint that do not have very practical keyboard shortcuts. 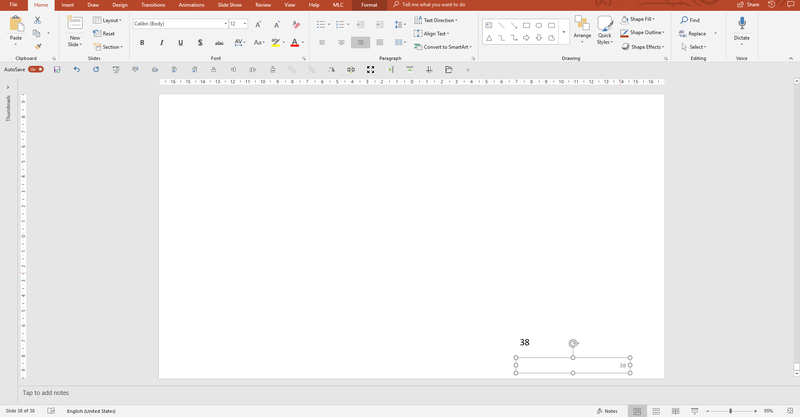 For this reason, I have provided myself with a very, very special mouse that allows me to be even more efficient when I work with PowerPoint. I talk about this in the article, “A mouse that changes the way of making presentations”. Thanks to my very efficient friend Taylor, who taught me this hack. Have you ever had to add the page number to your slides? Figure #50-10 PowerPoint hacks you’ve never heard of. 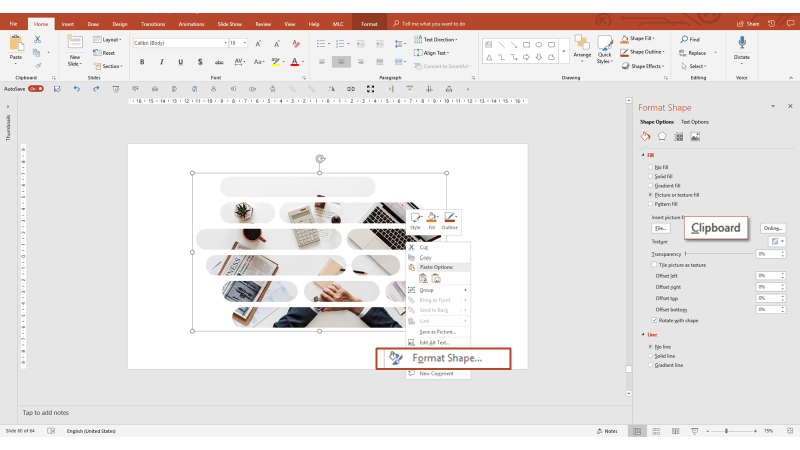 In the PowerPoint default template, the page number is shown at the bottom right of the slide. Do you remember how to apply the page number? In the insert menu, you will find two small buttons that open the same panel, from which you can check all the footers of your presentation. The second panel entry concerns the page number. Figure #52-10 PowerPoint hacks you’ve never heard of. Once checked, just click “Apply to All” to apply the page number to all slides. To be precise, the page number will be seen in all slides that are linked to a layout in the master that contains the field footer (If you do not know what I’m talking about, it means that you’re probably losing a lot of time when you work in PowerPoint, so I suggest you learn what the slidemaster really is and how to use it – link to the slidemaster guide). Another interesting check is the option “Do not show on title slide”, which allows you to hide the page number from the title slide so that it starts from the first slide. Figure #54-10 PowerPoint hacks you’ve never heard of. This is very useful when you do not want the page number in the opening cover, and I expect that you don’t brutally delete it with the mouse, because it is a master placeholder that should be treated appropriately. The page number is a very useful tool that I use often in my presentations, but it has a problem that I find very frequently. 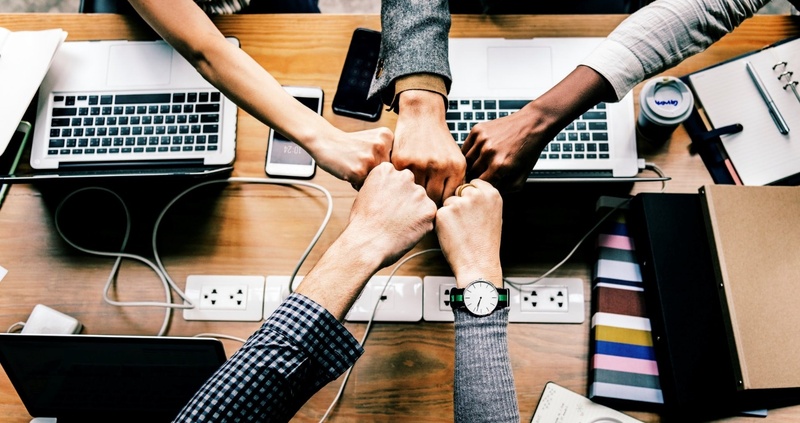 When more people work on the same presentation, the page number ends up being modified or moved from its original location. 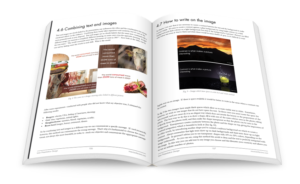 I would like to give you an example where each slide has a page number that is sized and positioned differently. It’s not strange that something like this happens because the page number is a text placeholder, which it is easy to stumble across during the processing of a slide. Therefore, you may need to move it or resize it easily, and this can result in a dancer page number on your slides. One day, during a training session, a person asked me if it is possible to set the page number in the master so that it could not move in normal mode when working on the slides. Thanks to this input and a bit of testing we did that day, I discovered this useful technique, which I want to share with you. To access the placeholder of the page number, you must enter in the slidemaster (I repeat that if you are not prepared on , you should look at this slide master tutorial). Figure #56-10 PowerPoint hacks you’ve never heard of. When you enter the slidemaster, positioned on the first slide (the theme), look at the bottom right. See the page number? Figure #57-10 PowerPoint hacks you’ve never heard of. That is the placeholder of the page number. The page number is a rather special placeholder; it is identified by a pound sign in quotation marks? In fact, when you apply it to changing slides, it increases by +1 and counts the pages automatically. But, being a placeholder, if you click on it during normal view, you can easily modify it and lose its functionality. In the example below, I selected it and wrote in it to show you how easy it is to change it. Figure #58-10 PowerPoint hacks you’ve never heard of. How do you block the page number so that no one can change it while maintaining its functionality (that is, that it updates slide by slide)? The technique consists of imposing the special field: a page number inside an object that you can modify only in the master that is a text box. Enter the slidemaster and insert a text box (not a text placeholder). Place it just above the placeholder of the page number to let you see the difference once set. Figure #59-10 PowerPoint hacks you’ve never heard of. Instead of writing in the text box, apply the special text field: page number. Figure #60-10 PowerPoint hacks you’ve never heard of. Be careful: Applying the page number via the button directly in the text box is not the same as writing it by hand. If you write it by hand, it doesn’t work, as the complete, hidden formula is not built into the slides. At this point, exit the slidemaster. Figure #61-10 PowerPoint hacks you’ve never heard of. 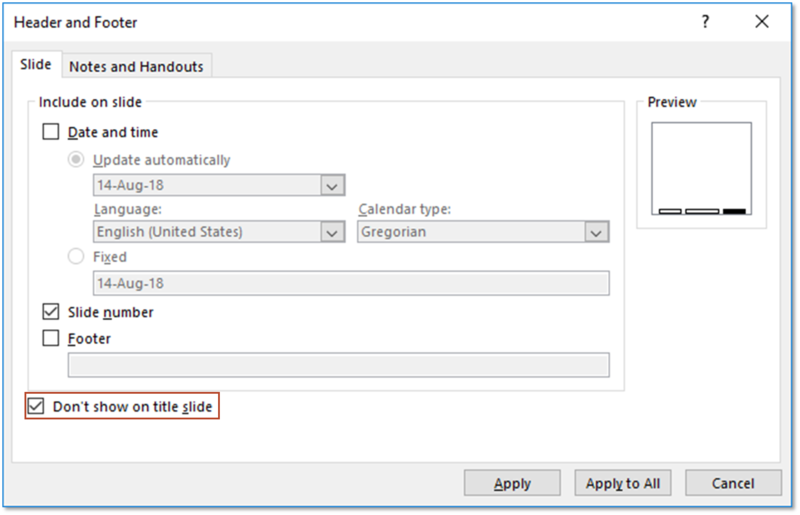 On the slide, you will have two page numbers: the placeholder indicated in gray, and your text box. Try pulling a selection box with the mouse and selecting them both. What happens? Figure #62-10 PowerPoint hacks you’ve never heard of. The placeholder can easily be modified by anyone that clicks on it, while the text box is protected from any changes; the only way to change it is to enter the slidemaster. Now try to create some slides and you’ll see that the number is updated progressively, just like the placeholder field. Figure #63-10 PowerPoint hacks you’ve never heard of. 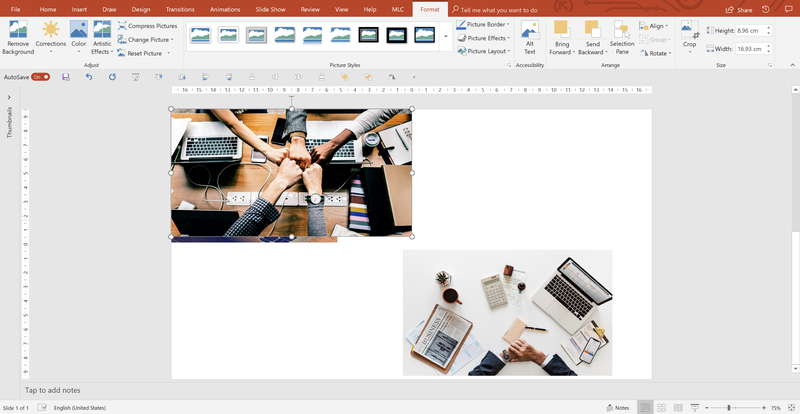 With this technique, you have learned to protect the page number from accidental changes that may occur during the processing of slides, especially in presentations made by more than one person, with different needs and styles. 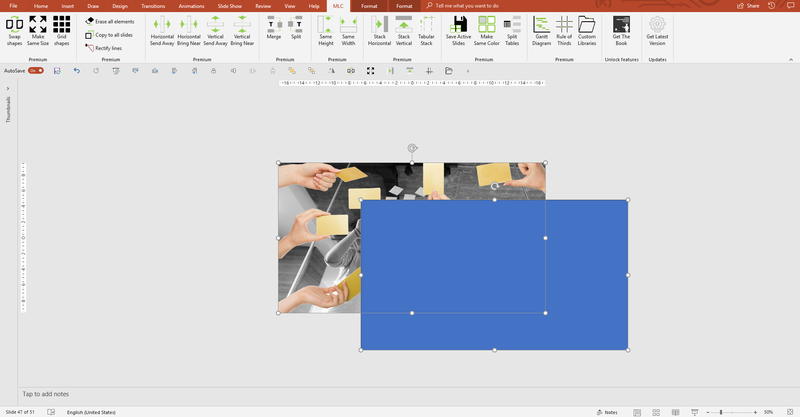 Do you know that in PowerPoint objects can be overlapped on each other? 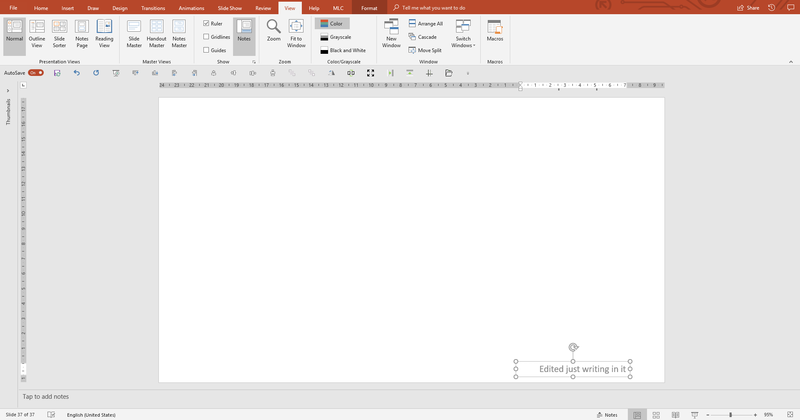 This means that PowerPoint thinks of objects as levels, so it is possible to create a scale of priorities according to what is above which object. Figure #64-10 PowerPoint hacks you’ve never heard of. 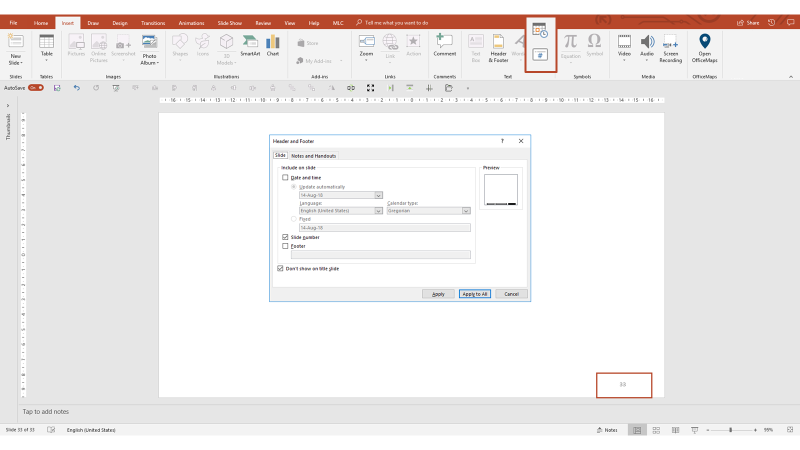 In the paragraph where we talked about the Quick Access Toolbar, we have placed the buttons “Bring to Font” and “Send to Back” at your fingertips just to be able to manage the front level and background. 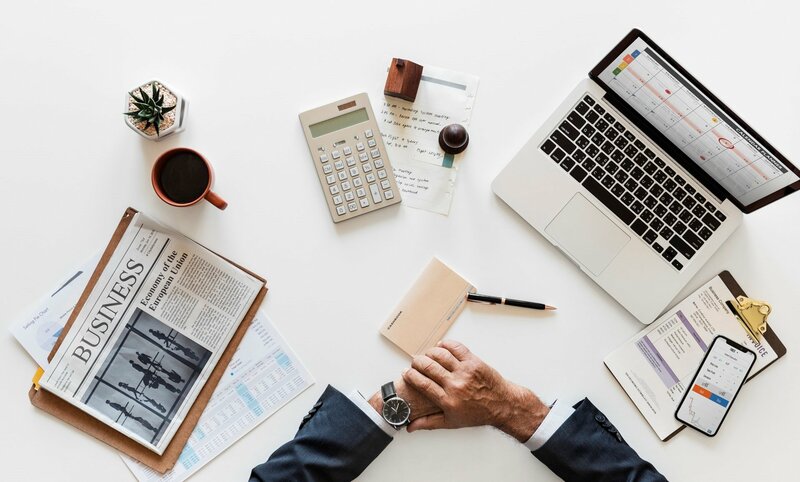 What happens if I have more items and intermediate levels to manage? In this case, the level management panel can be very useful. Do you know where it is? You can find the layer management panel in the “Home” tab under the heading “Select”. Figure #65-10 PowerPoint hacks you’ve never heard of. The panel shows you the order of the levels of the objects you have on the slide, from top to bottom. Those at the top are in front, while those at the bottom are in the background. By clicking on the name of the levels, you can change the name. Figure #66-10 PowerPoint hacks you’ve never heard of. You can change the order of priority simply by dragging objects within the panel. Figure #67-10 PowerPoint hacks you’ve never heard of. You can also hide some objects temporarily by clicking on the eye that is to the right of the level. Figure #68-10 PowerPoint hacks you’ve never heard of. This function is extremely useful in cases where you want to lock an object once positioned, so you can work on everything else without clutter and then have it reappear at the end. In the example in the picture, I could hide the oval that is in the foreground to work comfortably on the levels placed below, and then let it reappear in its place when I finish. 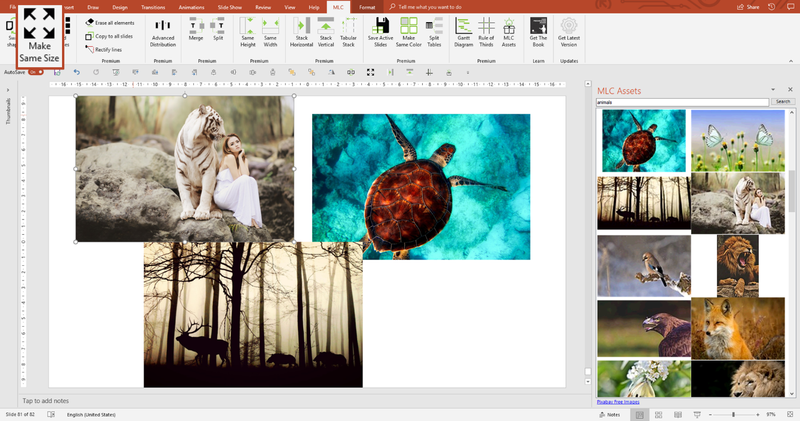 PowerPoint provides you with a good number of tools to edit images and customize them to make them effective . 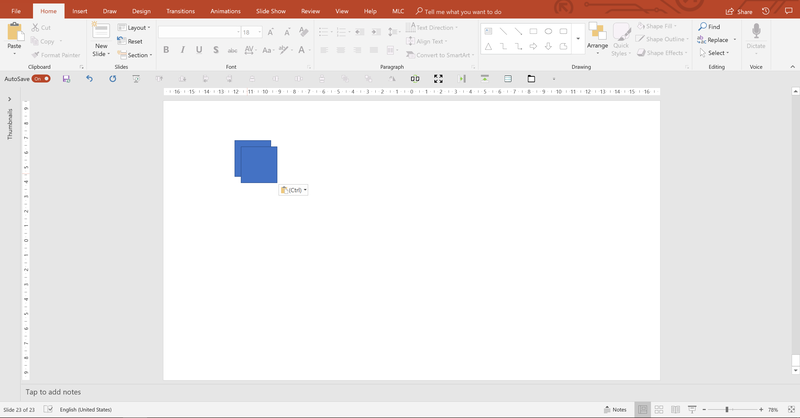 There is a technique that allows you to set a certain level of transparency on images in PowerPoint on Windows. I extracted this technique from the definitive guide to use images, to share it in this list of very special techniques. Making a transparent image is an exceptional technique to create compositions in which the background image creates the context and the overlapping image an enrichment. 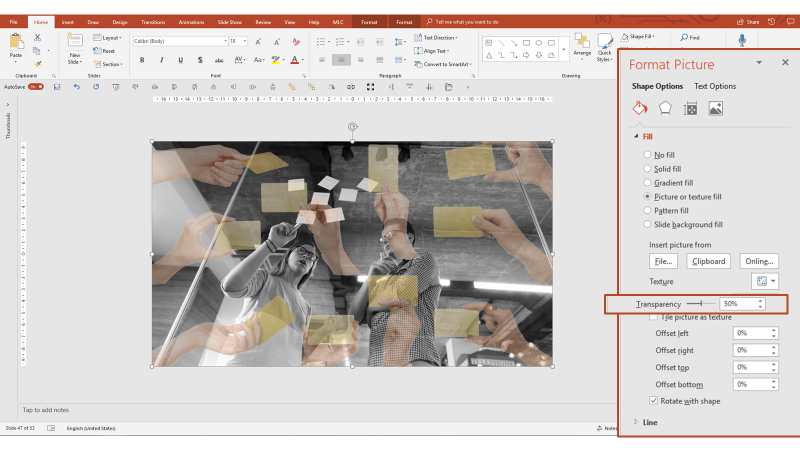 Thanks to the transparency, you can get effects in PowerPoint for which you often use Photoshop. 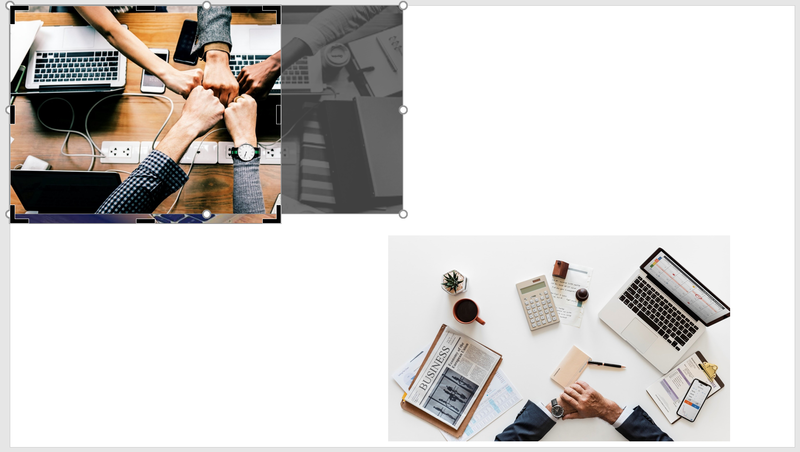 Get a high resolution image to be placed at full slide on your slide (Find out where to find free high resolution images for your presentations). 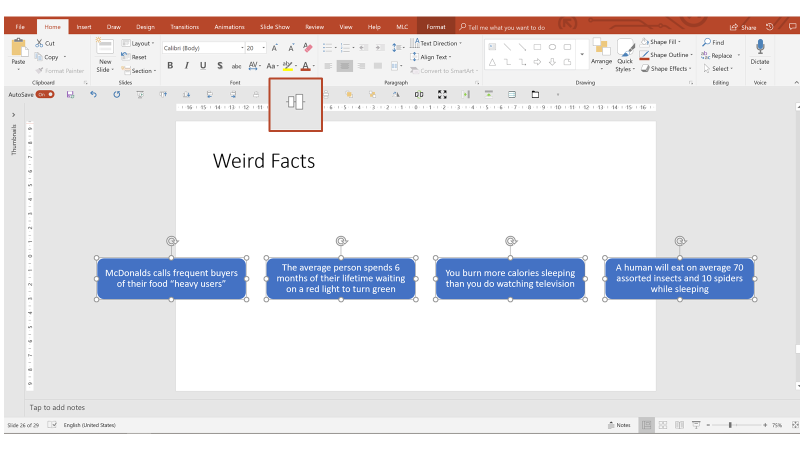 Figure #69-10 PowerPoint hacks you’ve never heard of. Desaturate it, since we will keep it in the background and it has pretty bright colors. Keep this image in the background. Figure #70-10 PowerPoint hacks you’ve never heard of. Now get another image to overlay the background and to which you’ll apply degrees of transparency. Figure #71-10 PowerPoint hacks you’ve never heard of. 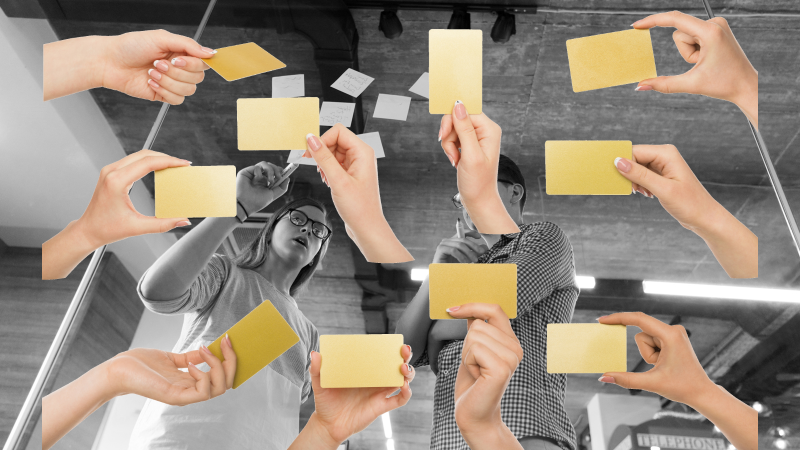 Since this image represents a brainstorming and the principal object for each session of sharing ideas is post-it notes, I thought using an image of hands with post-its would fit. 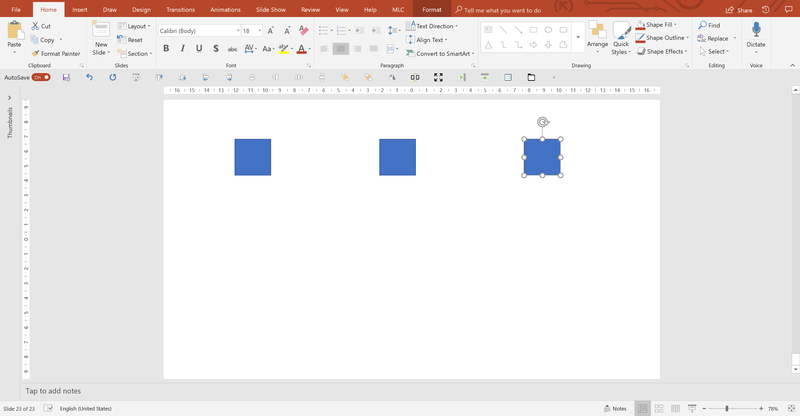 I got an image with the white background so I can quickly remove the background in PowerPoint and keep my hands. Figure #72-10 PowerPoint hacks you’ve never heard of. 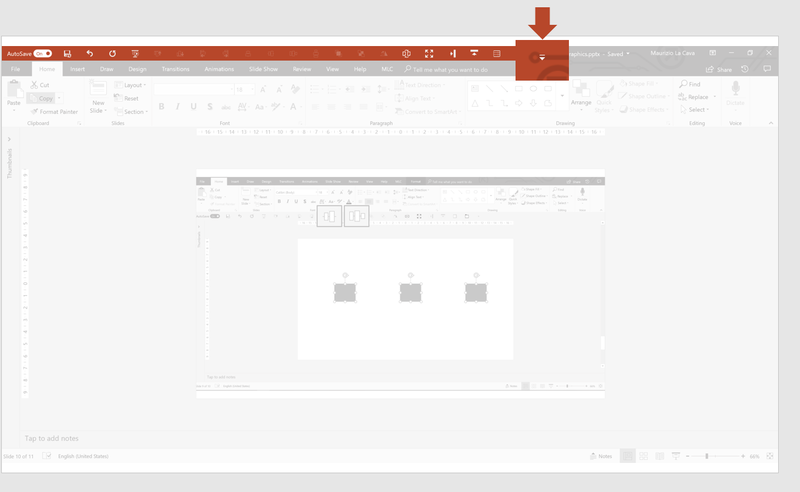 The PowerPoint background removal feature allows you to set a single color of the image to transparent. For this reason I need the background to be uniformly white. Figure #73-10 PowerPoint hacks you’ve never heard of. In this image, I’ve removed the background, so I just have to size the image so that it overlaps the whole page. 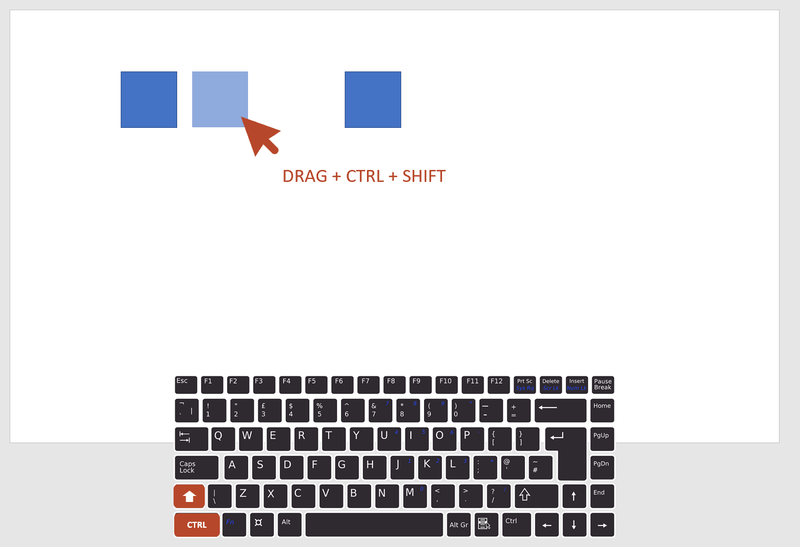 Activate the cropping frame, drag it horizontally, while holding down CTRL on the keyboard, to cover the entire slide with a single drag. Figure #74-10 PowerPoint hacks you’ve never heard of. 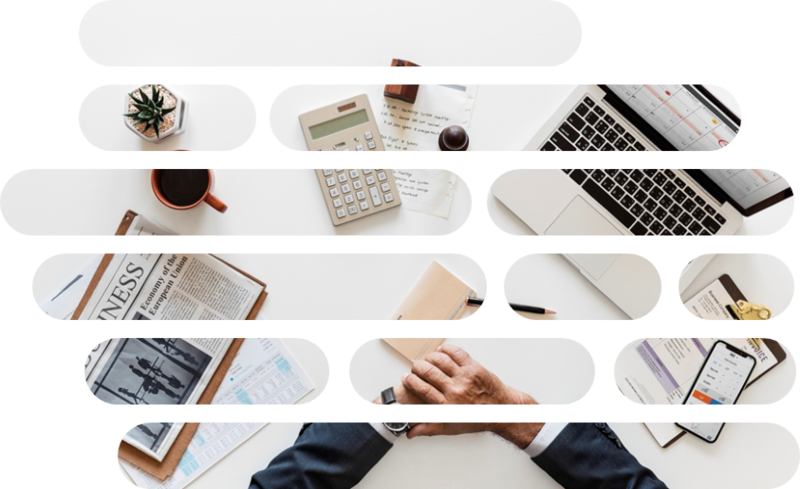 Now enlarge the image so that it fades the cropping frame and do not worry because all the parts that exceed the frame will be automatically cropped (note the black parts out of the frame). Figure #75-10 PowerPoint hacks you’ve never heard of. 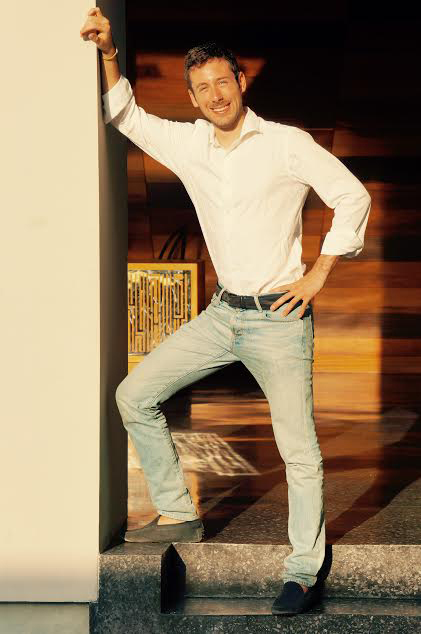 Now it is time to give transparency to the image superimposed on the background. Figure #76-10 PowerPoint hacks you’ve never heard of. Give the rectangle the same dimensions as the image. 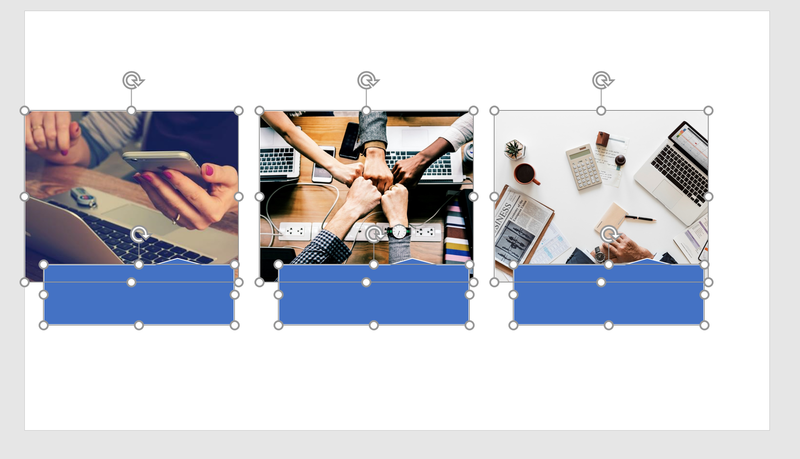 To do this you can simply drag the edges of the rectangle until they coincide with the image that, in this case, coincides with the edges of the slide. To go faster, I like to use the Make Same Size function of the MLC PowerPoint Addin. Figure #77-10 PowerPoint hacks you’ve never heard of. Figure #78-10 PowerPoint hacks you’ve never heard of. Cut the image to give transparency (CTRL + X). The image disappears but is actually saved in the clipboard. You just need to paste it with CTRL + V to make it visible again on the slide. Figure #79-10 PowerPoint hacks you’ve never heard of. 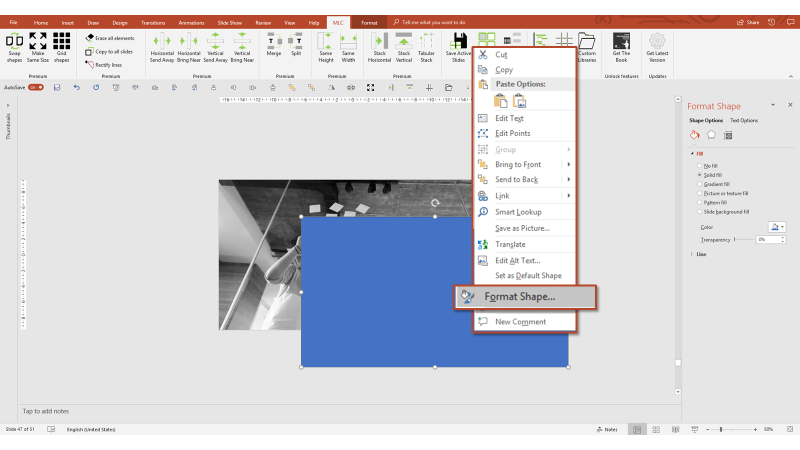 Select the shape with the right button and click on the “Format Shape” option. 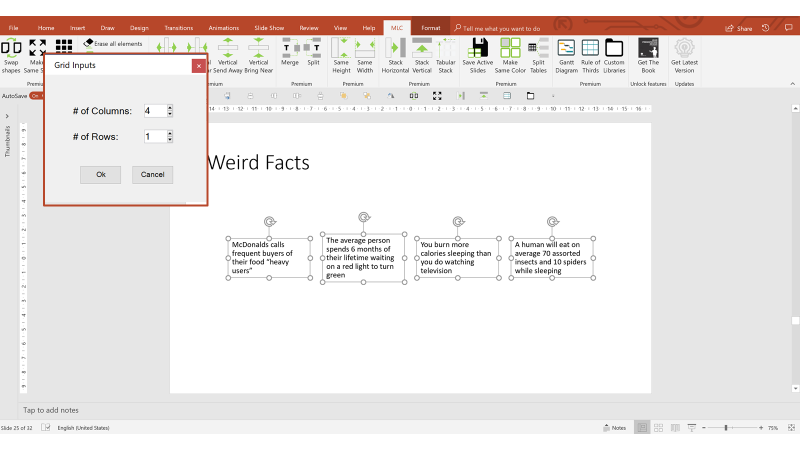 Figure #80-10 PowerPoint hacks you’ve never heard of. Apply a background that is not the usual “Solid Fill” but “Picture or texture Fill” and indicates that it comes from the Clipboard. 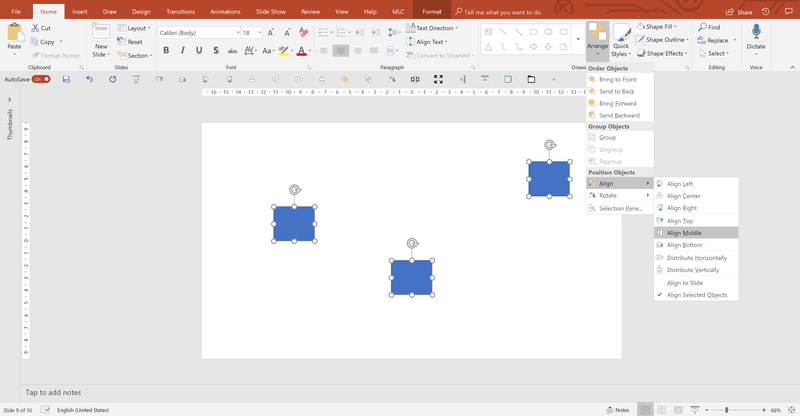 Figure #81-10 PowerPoint hacks you’ve never heard of. Assign a background to the shape, to which you can apply transparency. 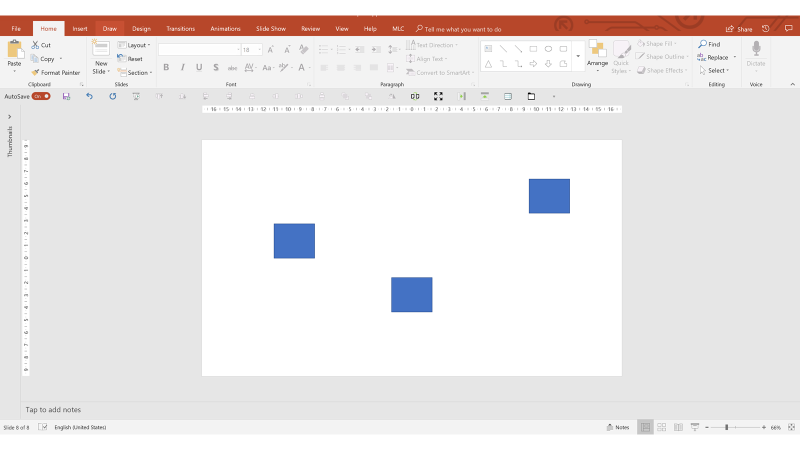 Figure #82-10 PowerPoint hacks you’ve never heard of. Here is your image that has acquired the desired transparency. 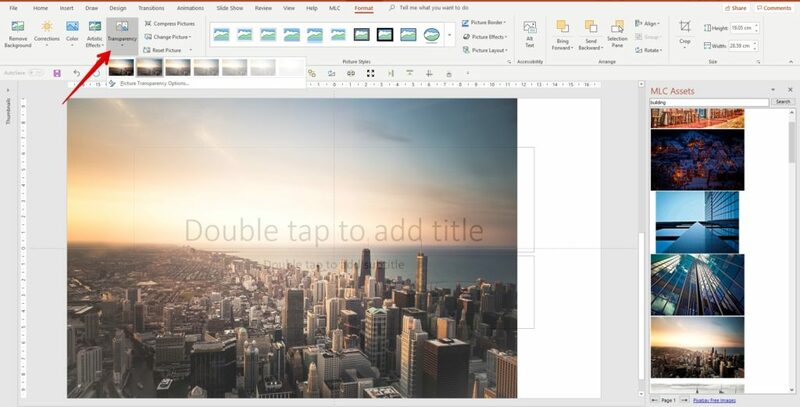 I showed you how to take the image from the Clipboard because I think it is the most advanced and interesting technique, but clearly you could take the image directly from a file, as shown in this video of Microsoft. What do you think? Did you like this technique? The last technique I want to show you is the simplest and it is useful only when you have to add trasparency to pictures. All you need to do is to go to “Format” section, click on the image and select the grade of trasparency. 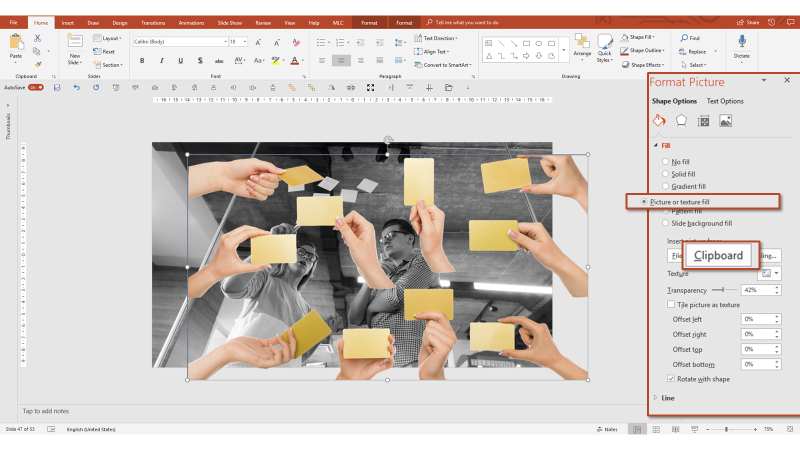 This technique is available only with the last update of PowerPoint. Have you ever wanted to record a video of your screen while doing operations? 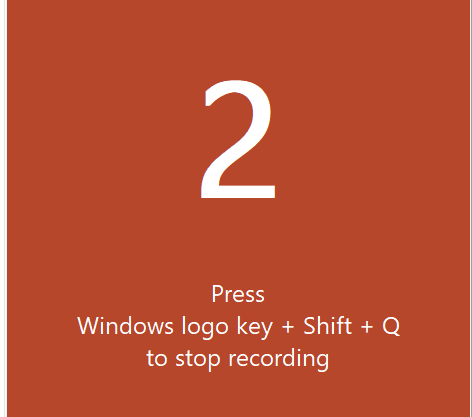 Maybe you want to record a presentation, a course, or simply show steps to a friend or colleague on the other side of the screen. What software do you use? There are many alternatives. The search for the easiest and most immediate free tool on Google to make videos often takes you on strange sites to download viruses, never really finding the tool you want. Or you have to use a paid solution but, unless you are really professional, you are looking for a way to record your screen that is decent but not the best recording tool in the world. Too easy, right? In fact, it is! In the “Insert” tab, there is a button called “Screen Recording” which allows you to record sessions of a selected area of your screen. 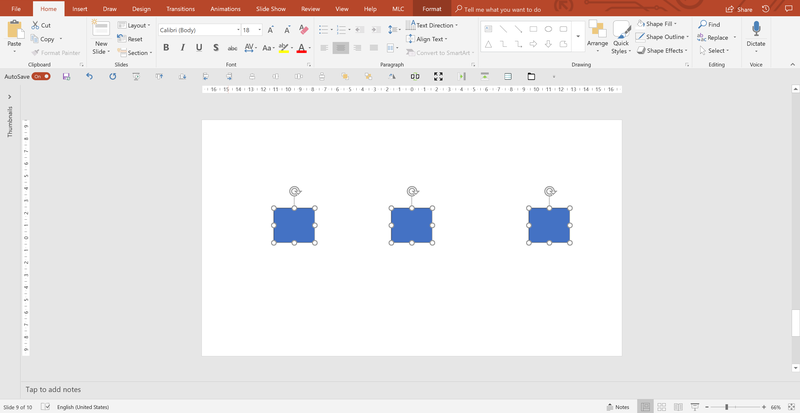 Figure #83-10 PowerPoint hacks you’ve never heard of. 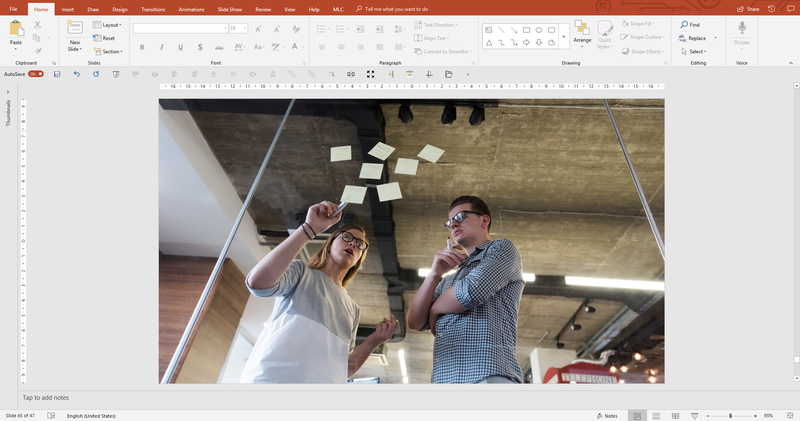 Note that the shot must not necessarily take place in PowerPoint; you could take a recording of everything you want out of PPT. Select Area: Indicate the area to be registered. Audio: Record audio or not. Record Pointer: Record pointer movements. Clicking on the red button start recording, imagine it as your clapperboard! 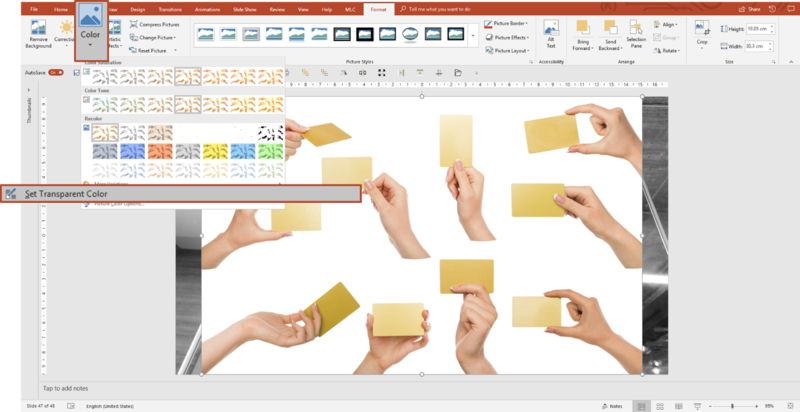 Figure #84-10 PowerPoint hacks you’ve never heard of. To stop shooting, if you lose sight of the small panel at the top of the screen, you can simply perform the keyboard combination WINDOWS + SHIFT + Q. 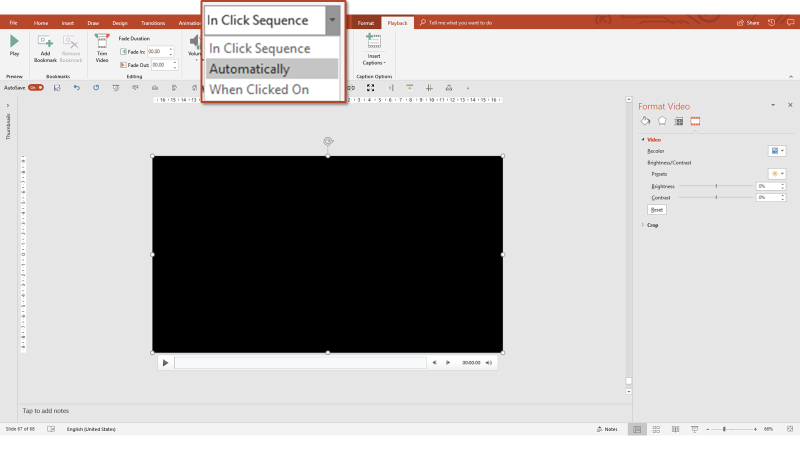 Figure #85-10 PowerPoint hacks you’ve never heard of. The video will be available on PowerPoint in the slide where you were working. You can use it directly in the presentation or save it as an MP4 and use it as you like. 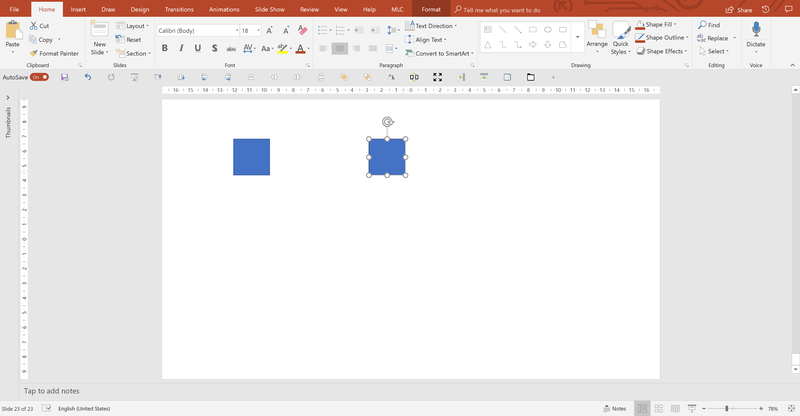 Figure #86-10 PowerPoint hacks you’ve never heard of. 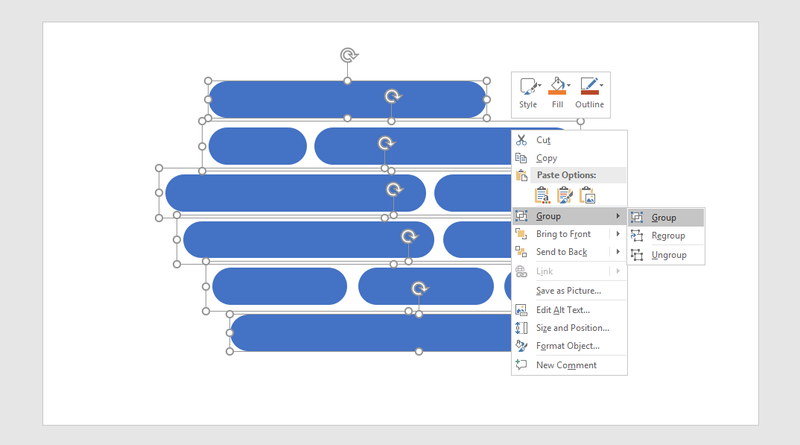 Applying a set of templates in PowerPoint. 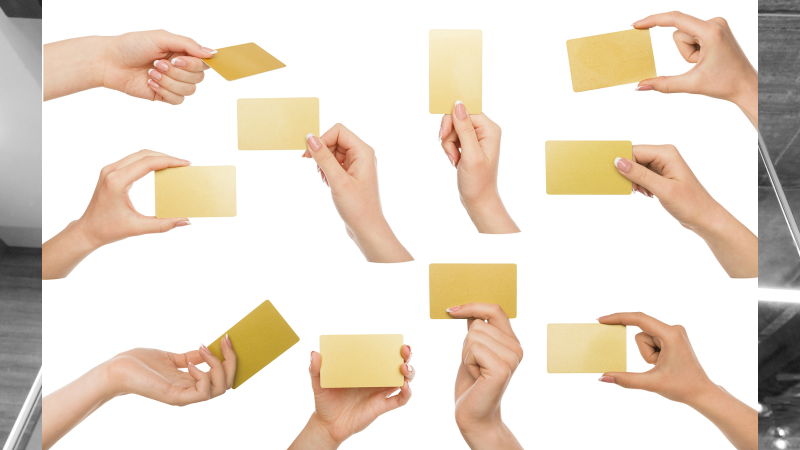 Figure #87-10 PowerPoint hacks you’ve never heard of. I’ll show you another example to help you understand how much you can play with this technique. 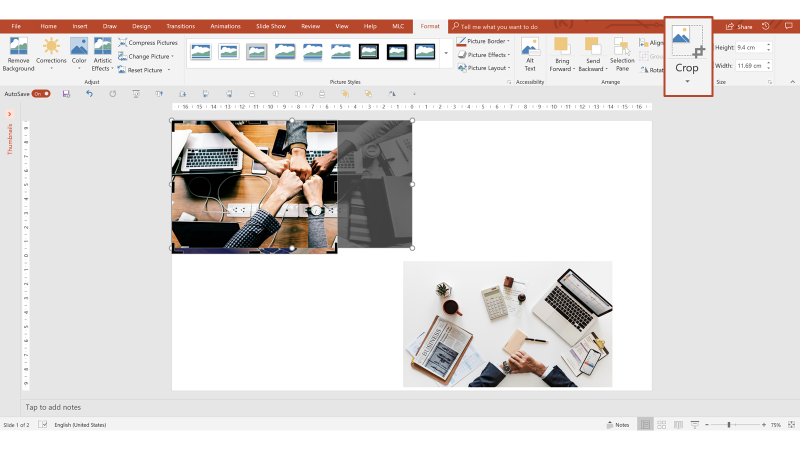 Figure #88-10 PowerPoint hacks you’ve never heard of. 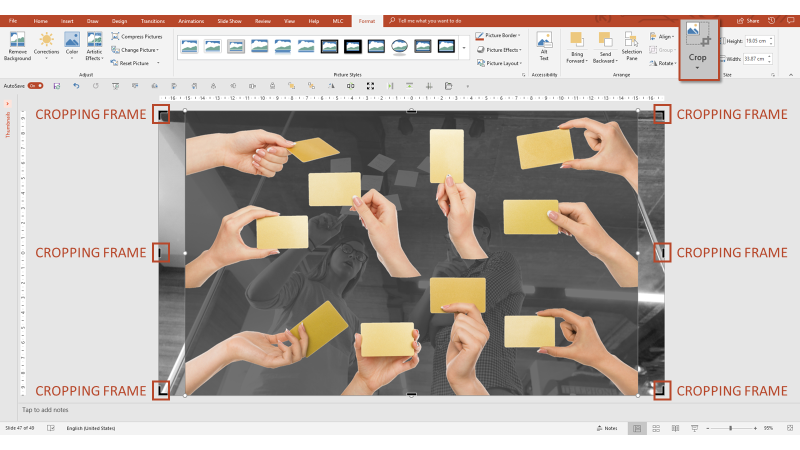 Figure #89-10 PowerPoint hacks you’ve never heard of. I leave to your galloping fantasies more creative experiments, so I will explain the technique. 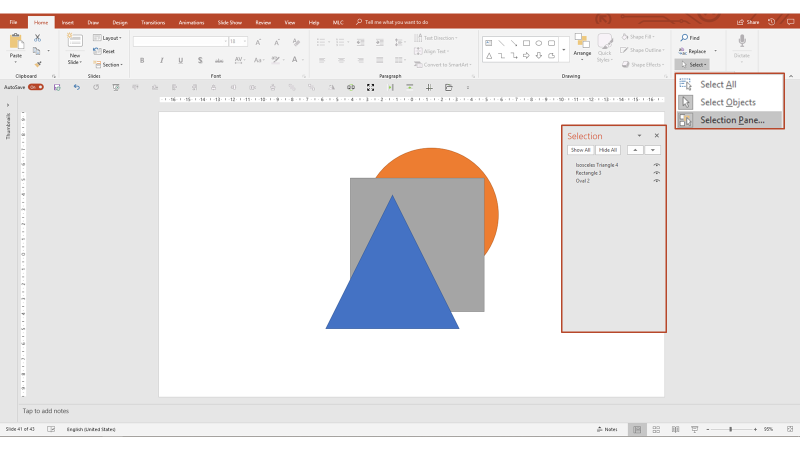 To create a template formed by many different shapes in an image, the first thing to do is draw the template with simple shapes in PowerPoint. Figure #90-10 PowerPoint hacks you’ve never heard of. The set of shapes that I have designed represents the template that I will apply to the image. For the technique to work, you must group all the forms into one group. Then select them all (CTRL + A) and then right click on Group> Group (CTRL + G for English operating systems). Figure #91-10 PowerPoint hacks you’ve never heard of. 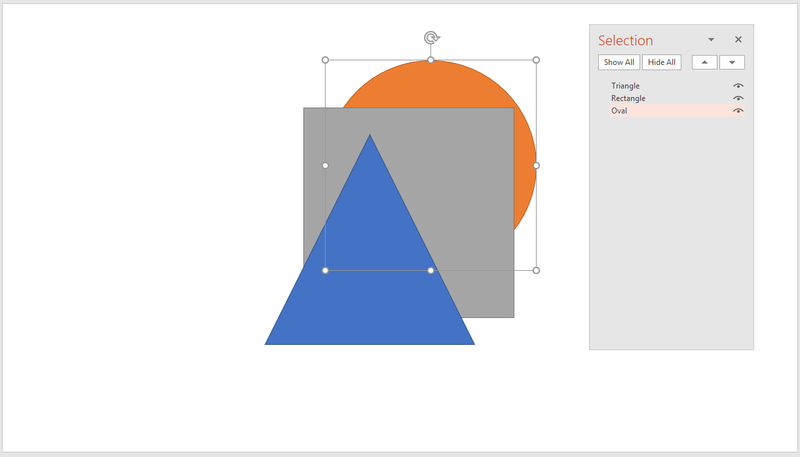 All the shapes will now be grouped together in a single selection box. Figure #92-10 PowerPoint hacks you’ve never heard of. Select an image, right-click on the image and click “Cut” (CTRL + X). Figure #93-10 PowerPoint hacks you’ve never heard of. The image disappears from view, but is actually saved in the Clipboard. 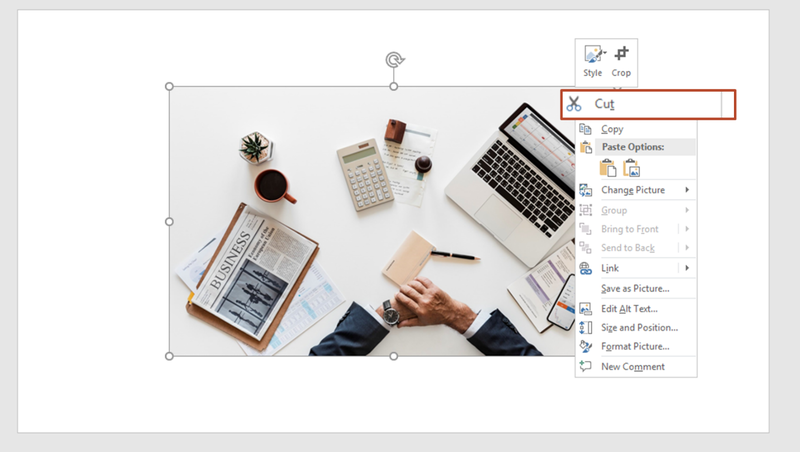 Now select the template with the right mouse button, open the “Format Shape” menu and assign a background from an image taken in the clipboard. Figure #94-10 PowerPoint hacks you’ve never heard of. 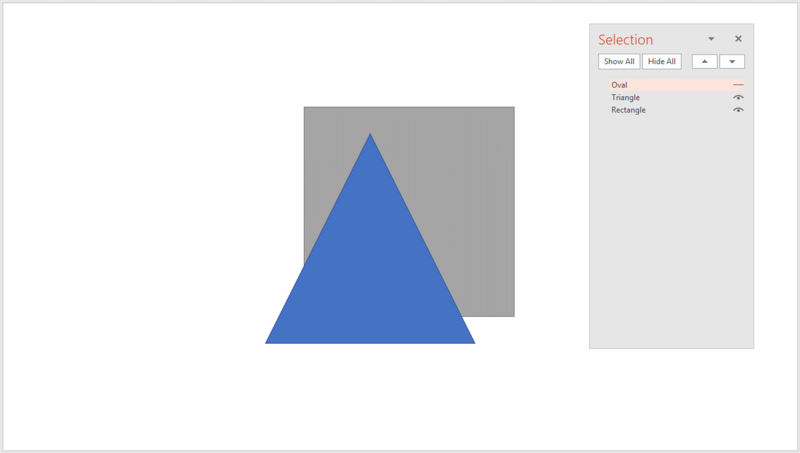 As long as you keep the merged group, you can even edit the shapes within the selection frame, and the template will update in real time. You could even delete some shapes and change others. For example, you could change rectangles into circles. Figure #95-10 PowerPoint hacks you’ve never heard of. Now it’s up to you to experiment with the technique of template, free your creativity and use it to amaze your audience. 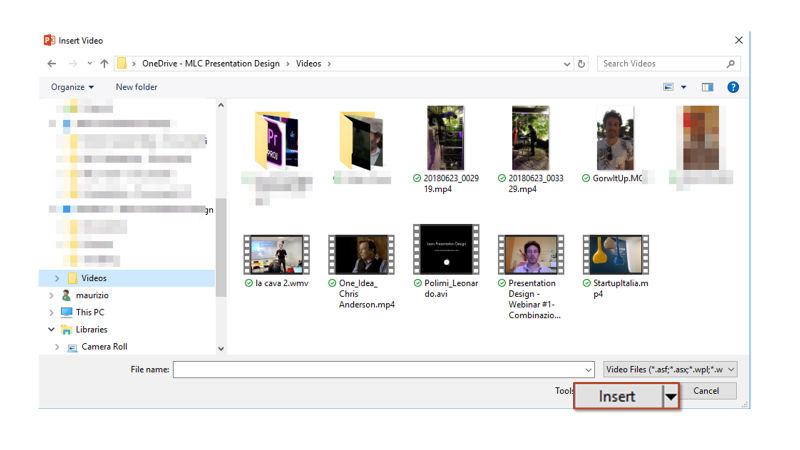 When you insert videos in the presentation, must you stop your presentation to play it? You have to go to the PC and click on the screen to start the video. 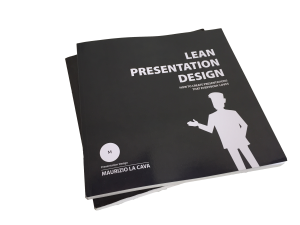 I use a lot of videos in my presentations, especially during company training, because if they are used at the right point and without excess, they help to change the rhythm and advance the audience through the flow of communication. The best use of a video in a presentation is to launch it at the exact moment when you stop talking, in order to create a continuity effect for your audience. In order to do that, you certainly can’t think of going back to the PC, which may not be at hand, and launching the video. Here is where autoplay comes to our rescue. First of all, you have to insert the video into the presentation. 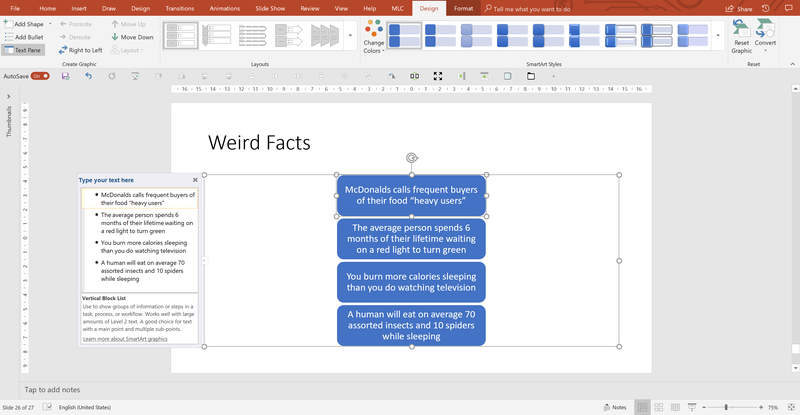 Figure #96-10 PowerPoint hacks you’ve never heard of. 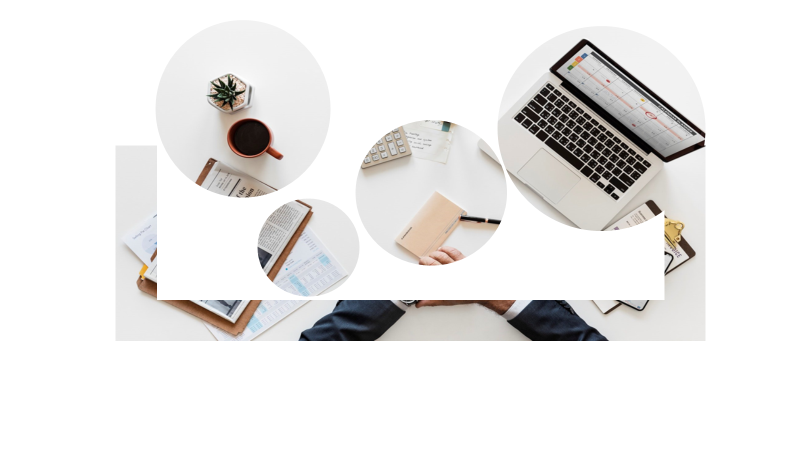 I advise you that always have the videos on your PC so you don’t have to worry about collapsing wi-fi or lack of connection on the day of the presentation. Select a video and enter it in the presentation. Figure #97-10 PowerPoint hacks you’ve never heard of. 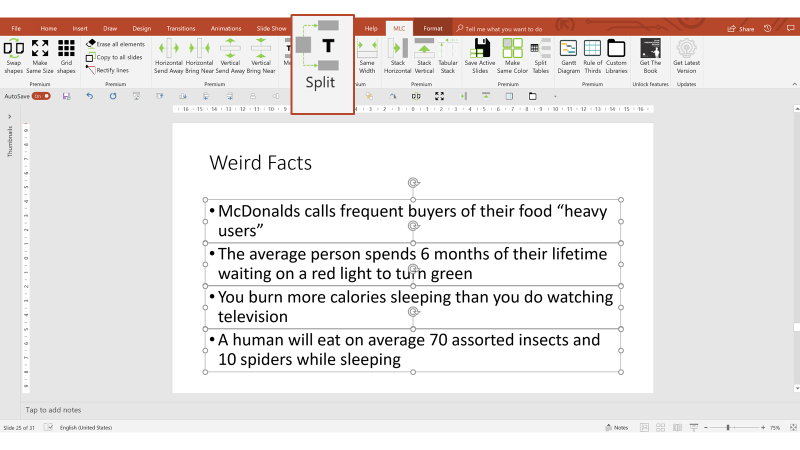 Figure #98-10 PowerPoint hacks you’ve never heard of. 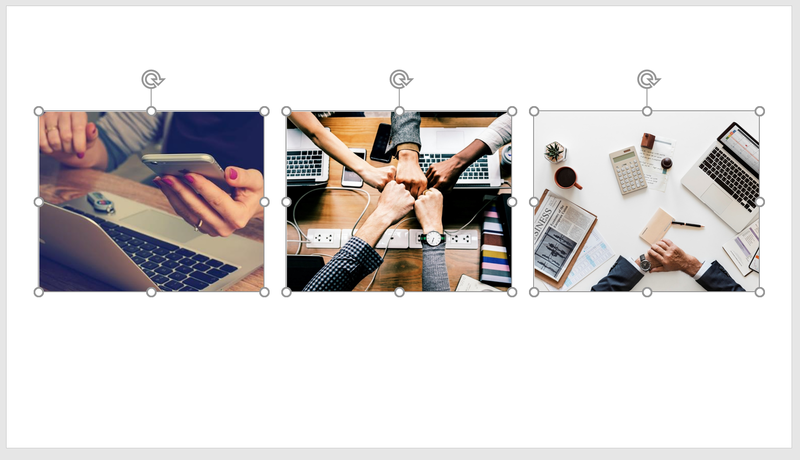 Thanks to this option, when launching the presentation mode the video will start automatically when you will pass to this slide from the previous slide. 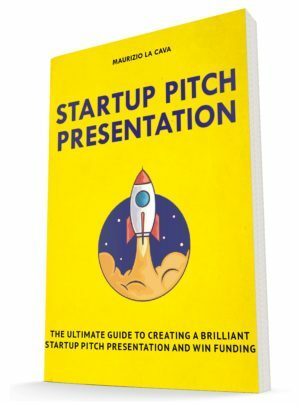 So, in summary, in this article I showed you the tricks which will save you a lot of time and make your presentations more efficient. Autoplay in presentation: it helps to change the rhythm and advance the audience through the flow of communication. Have you tried to use these unknown tricks? I’m curious to know which one is your favorite. Let’s write it in the comments!